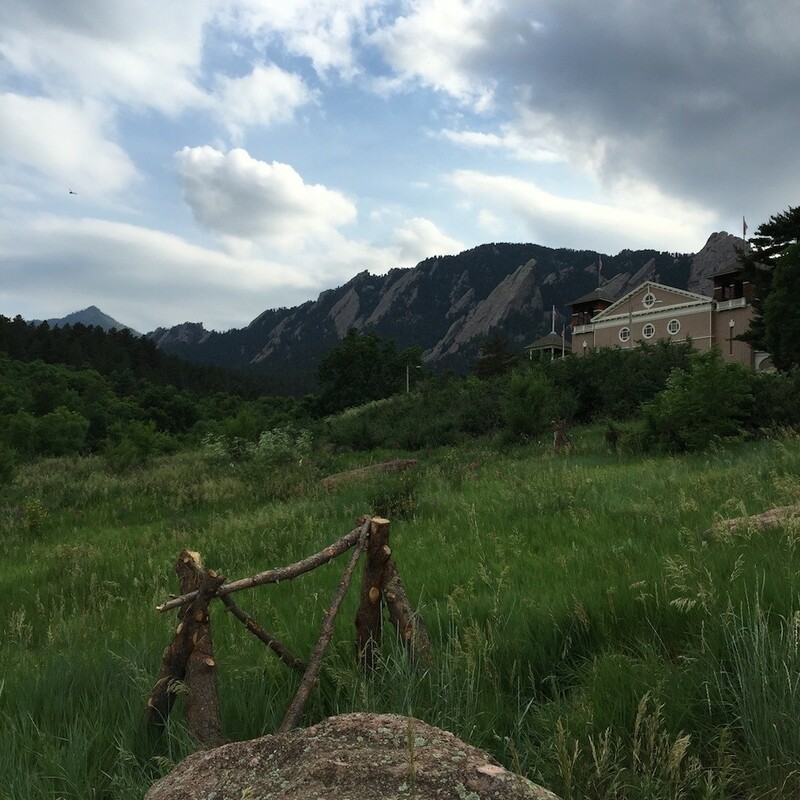 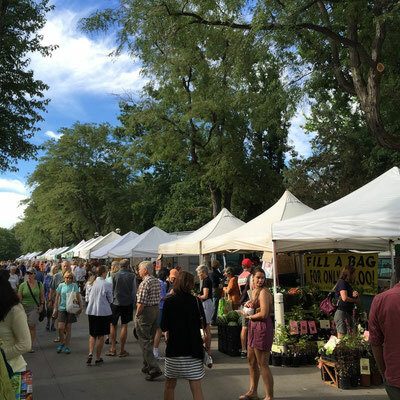 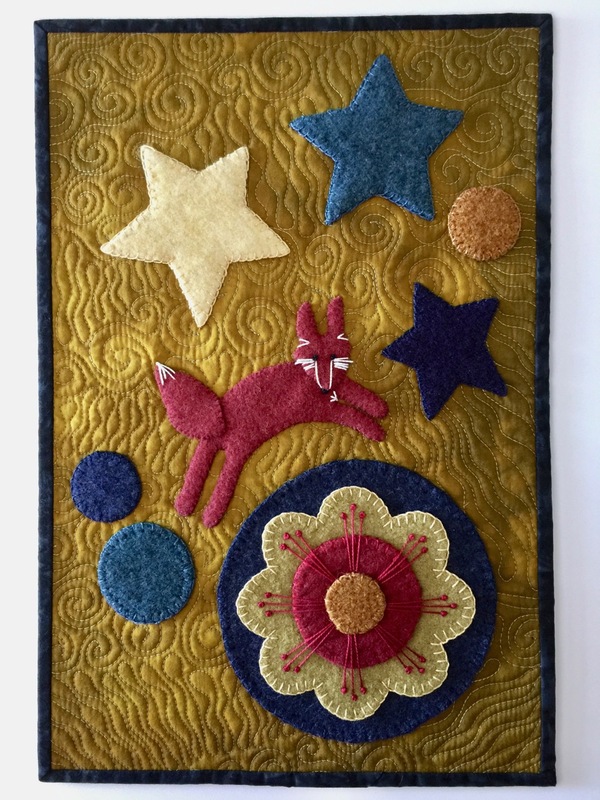 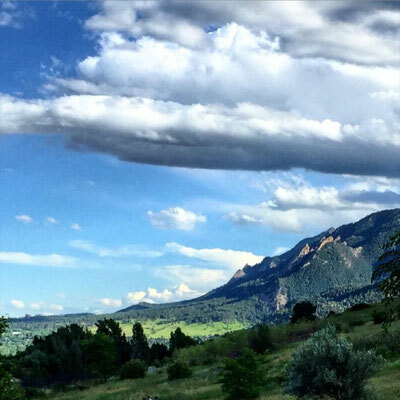 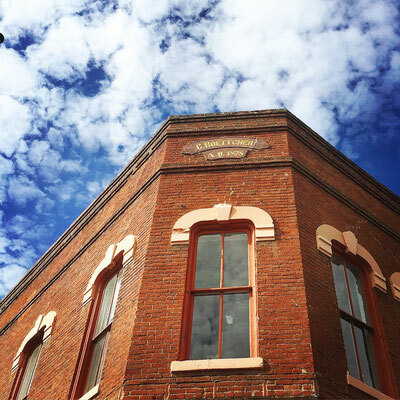 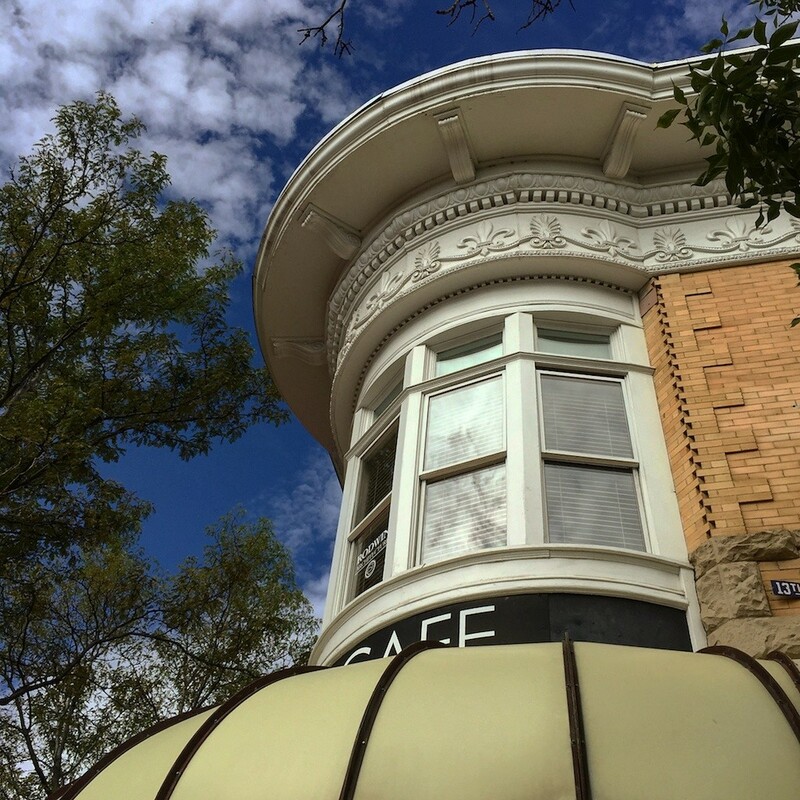 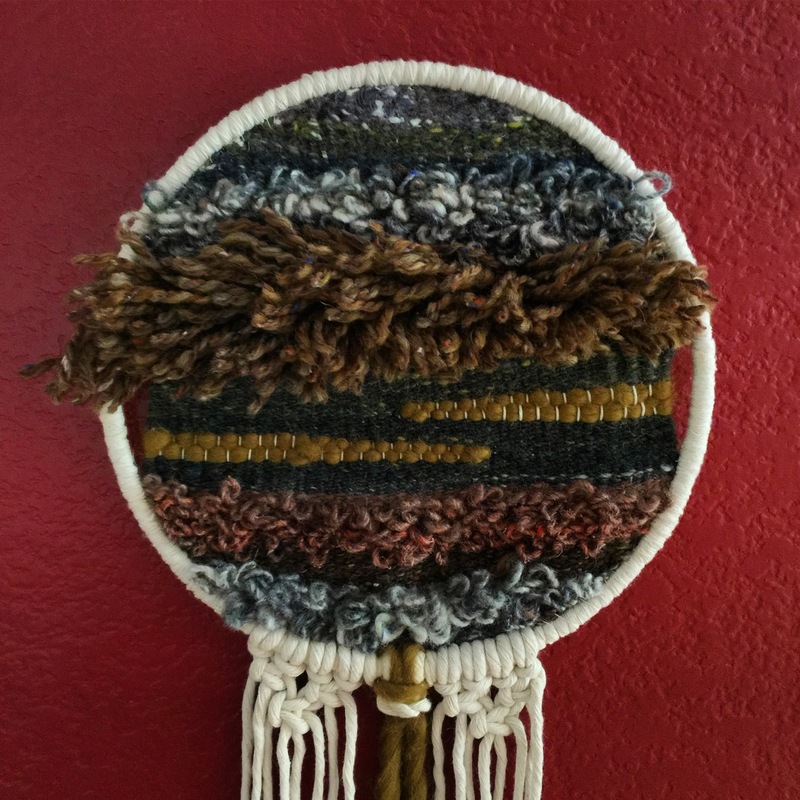 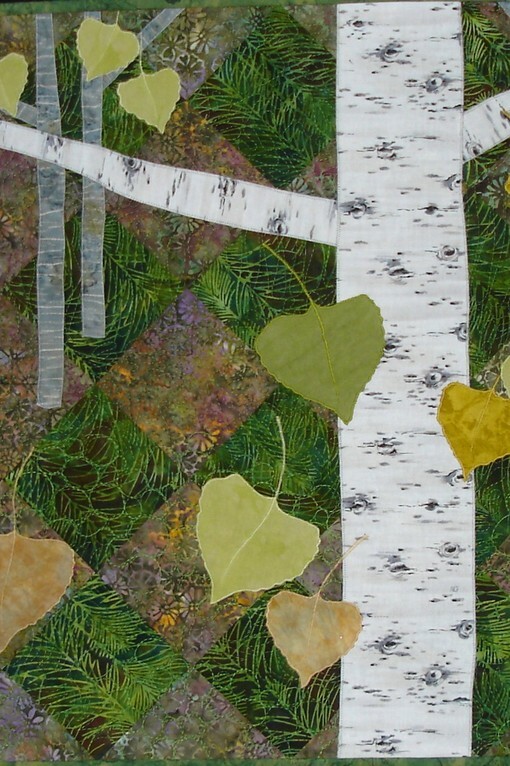 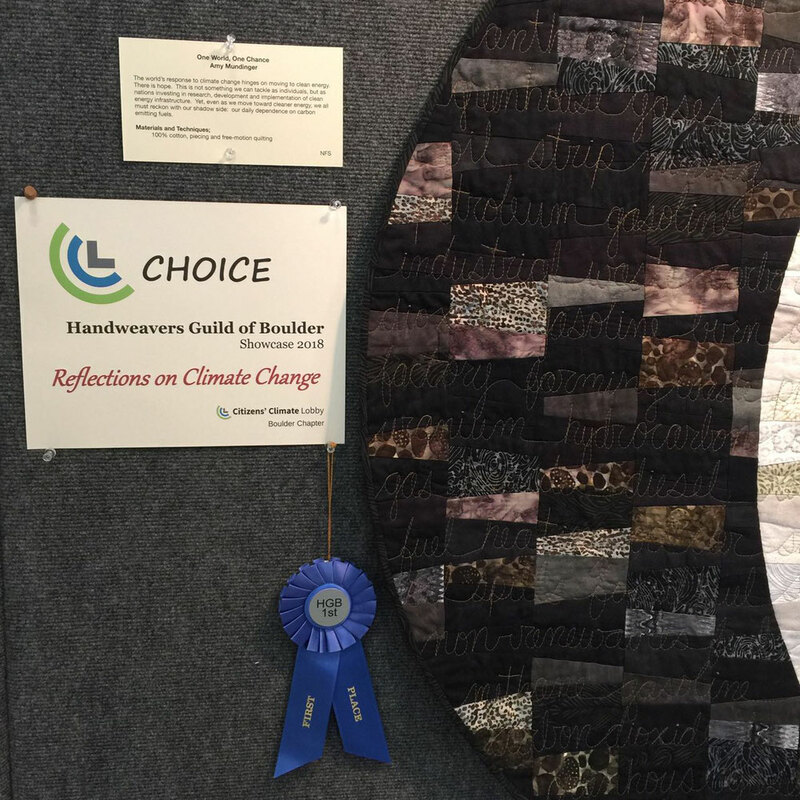 Over 100 Front Range artists with incredible handmade fiber art!!! 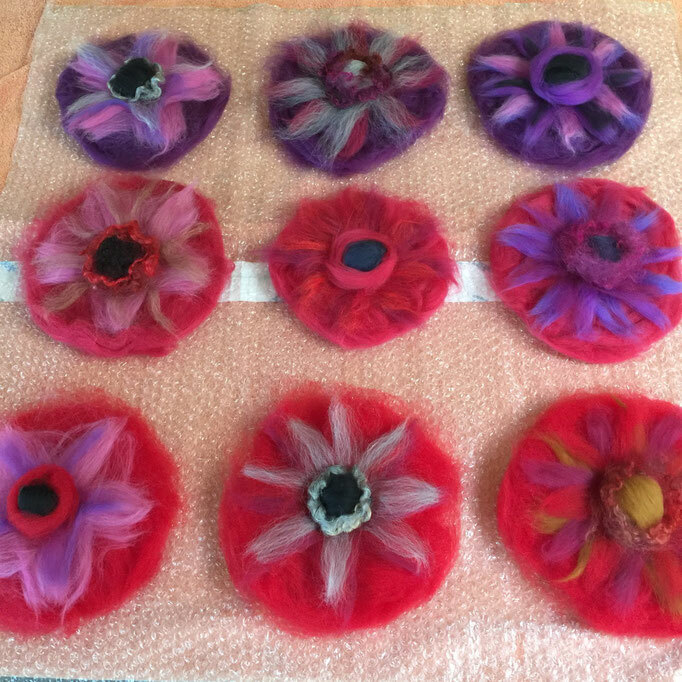 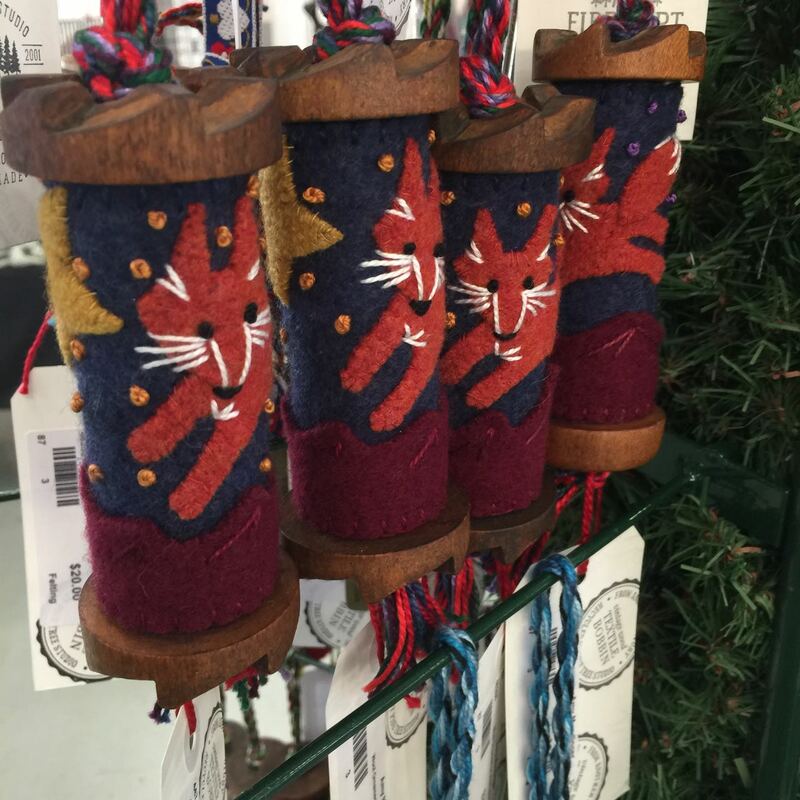 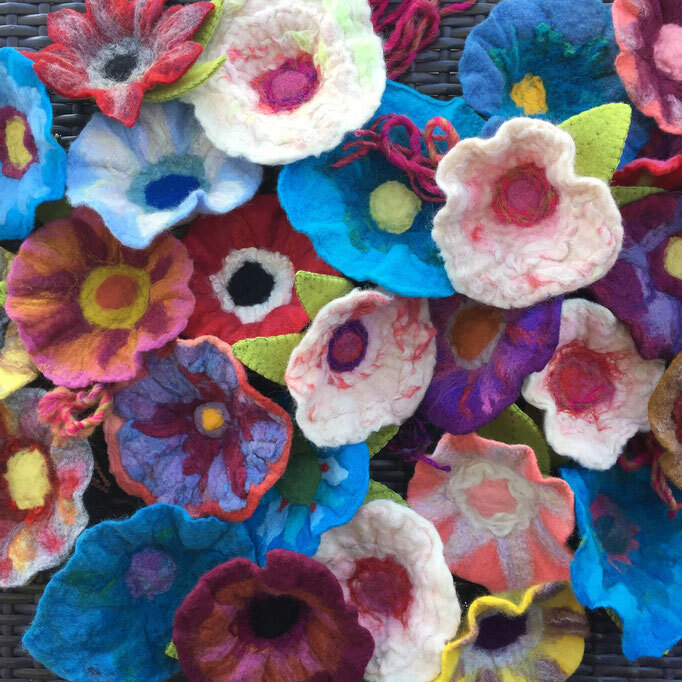 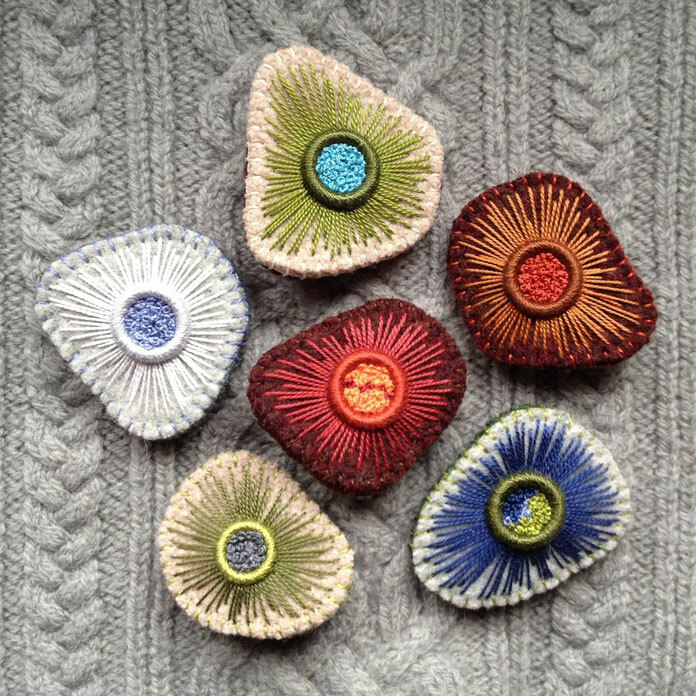 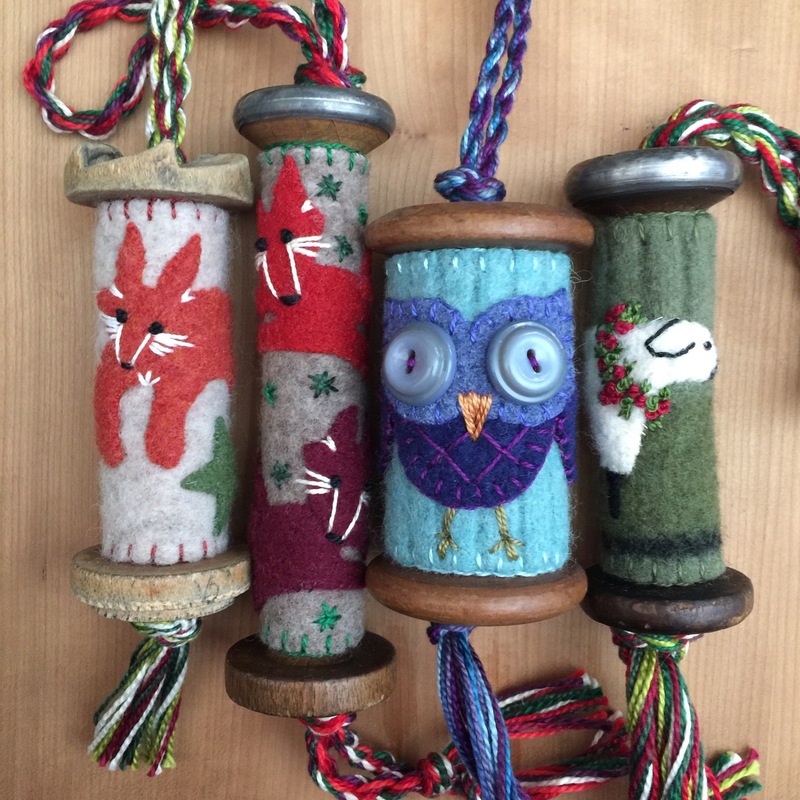 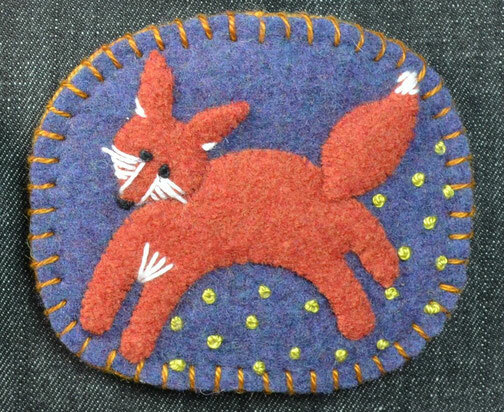 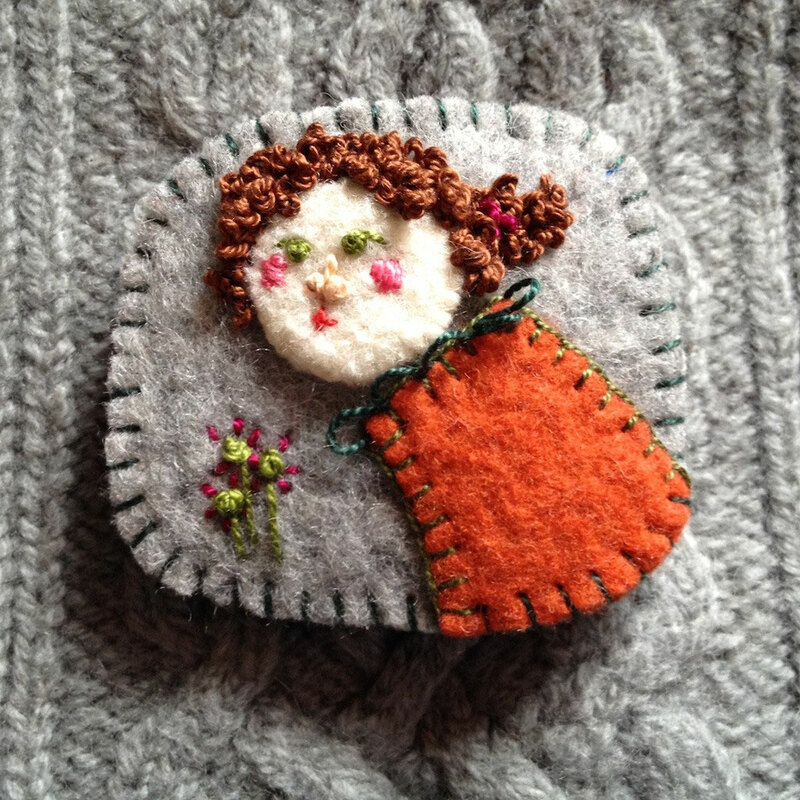 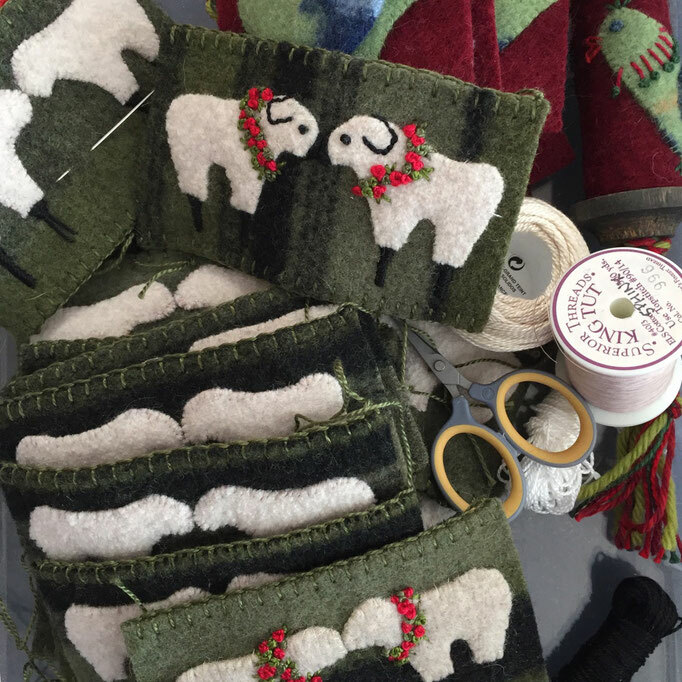 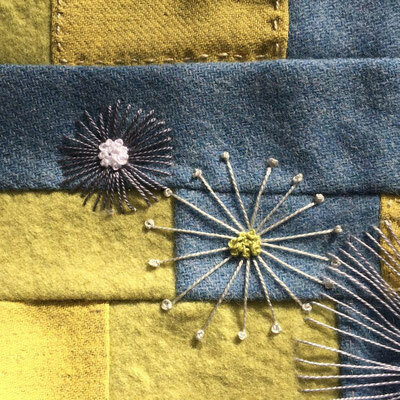 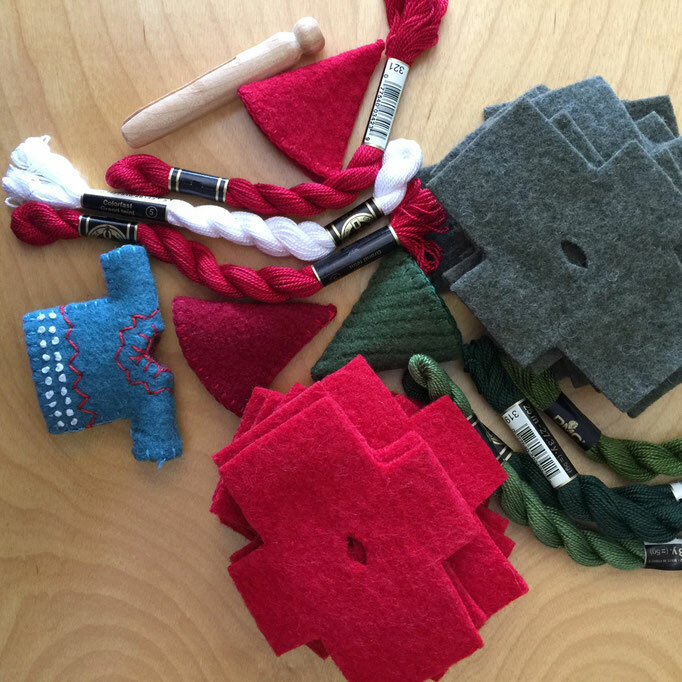 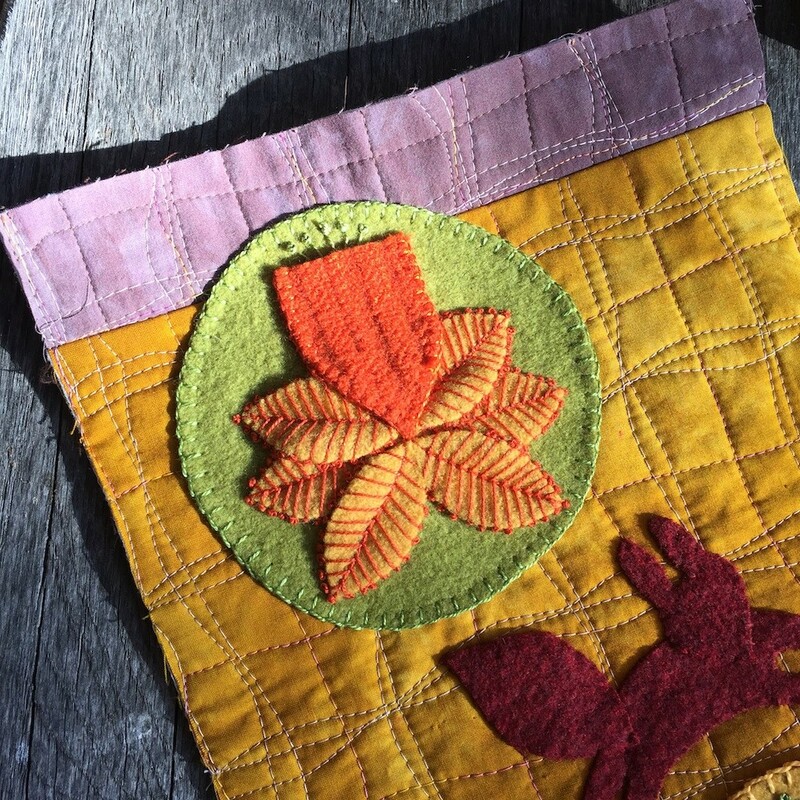 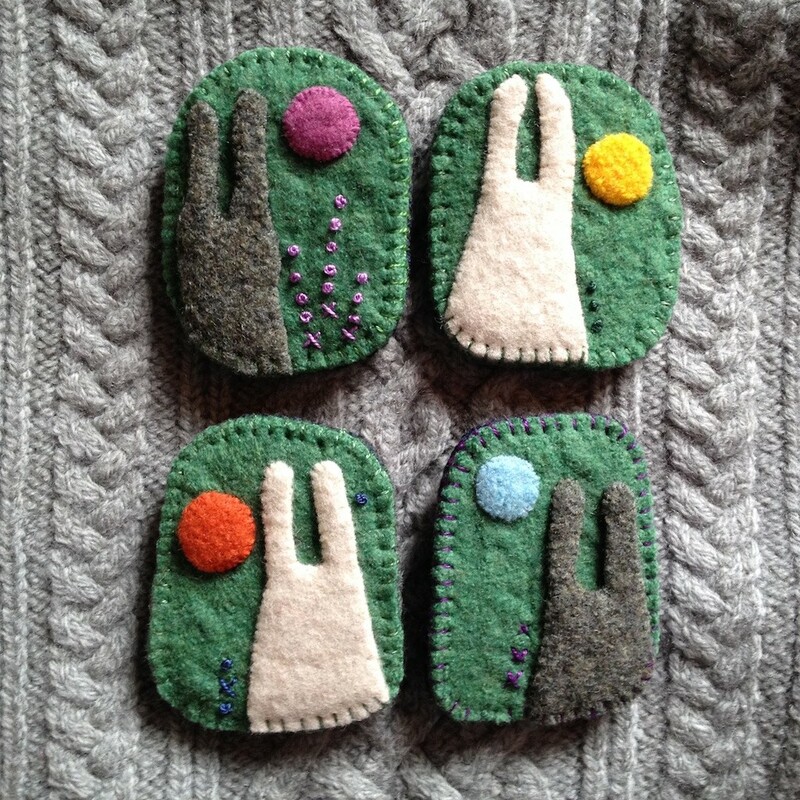 I will have some amazing ornaments in the sale made from vintage textile spools and upcycled 100% wool felt, as well as many other favorite items like Potholder/Mini-quilts, wall hangings, felt purses, felt pins, fiber art cards and more! And stop by and say "hi" - this year I am the Sale Chair and will be there daily! 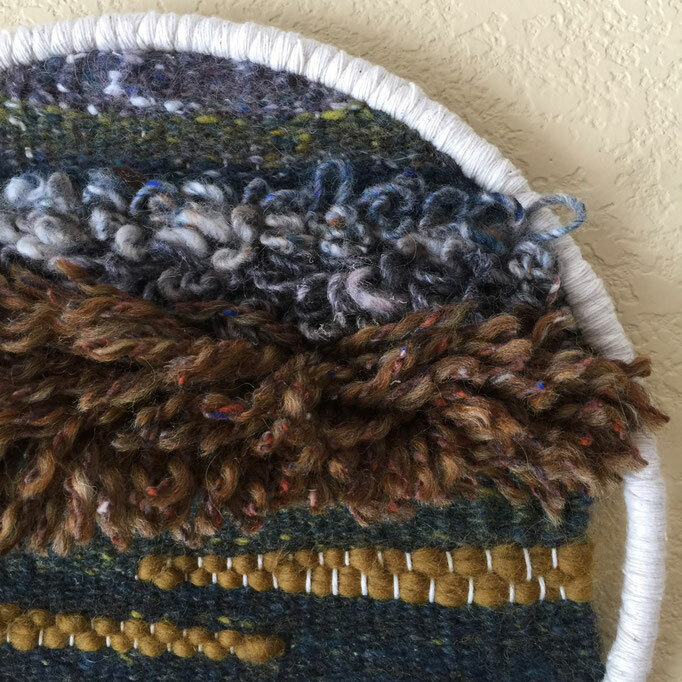 Winter is a time of play for me as a fiber artist. 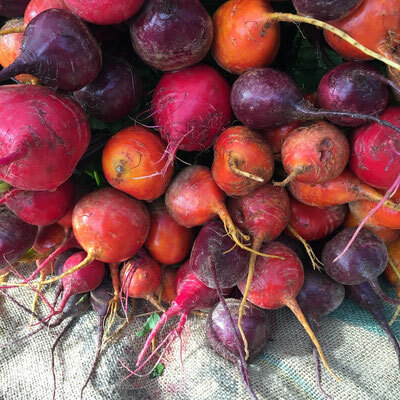 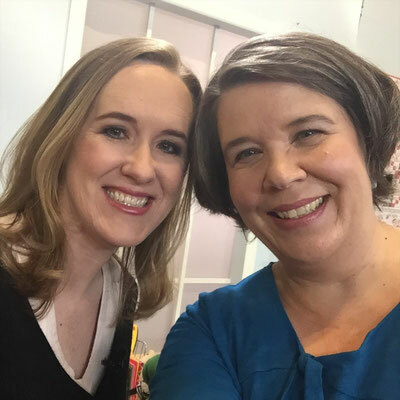 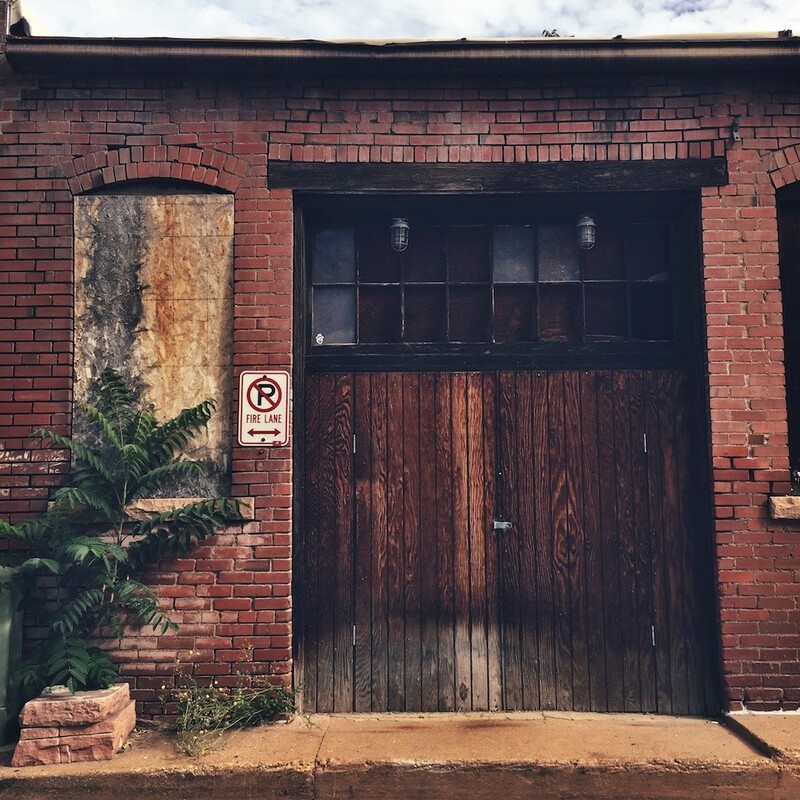 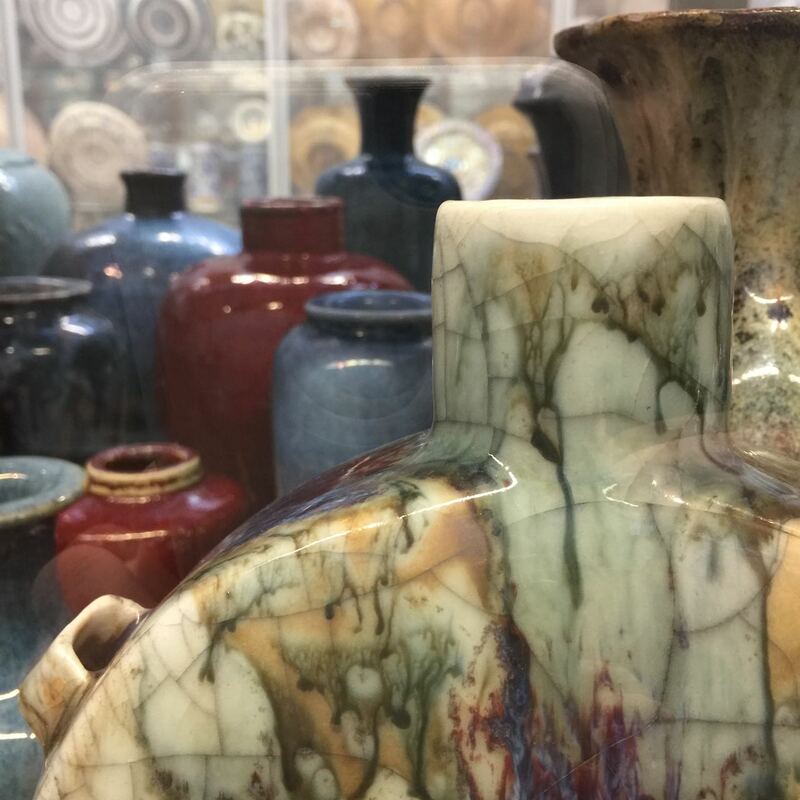 The holiday markets and family festivities are over, and there are months of time that lay open to my imagination and new endeavors. 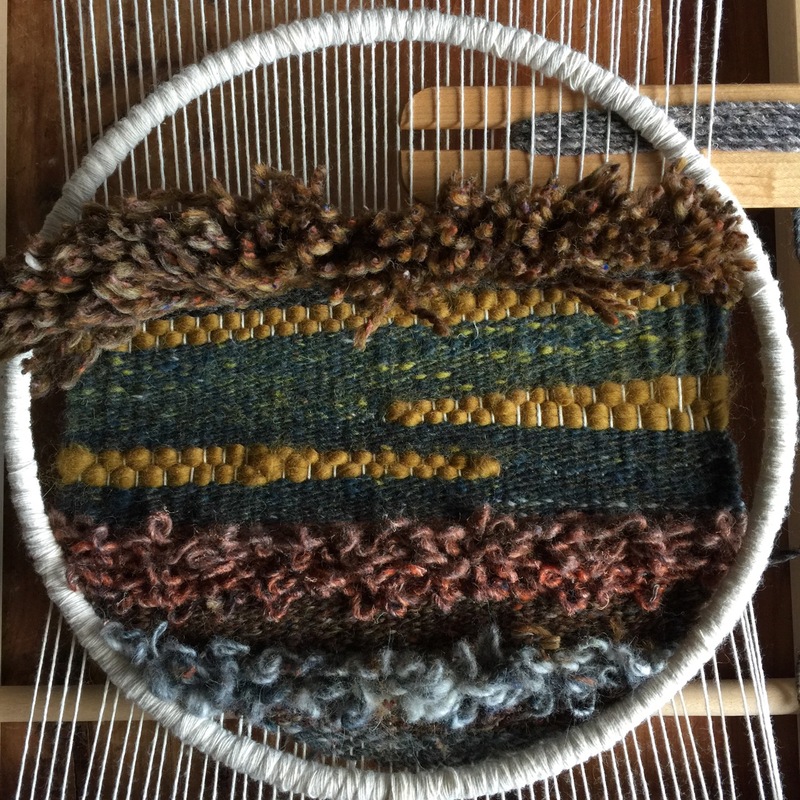 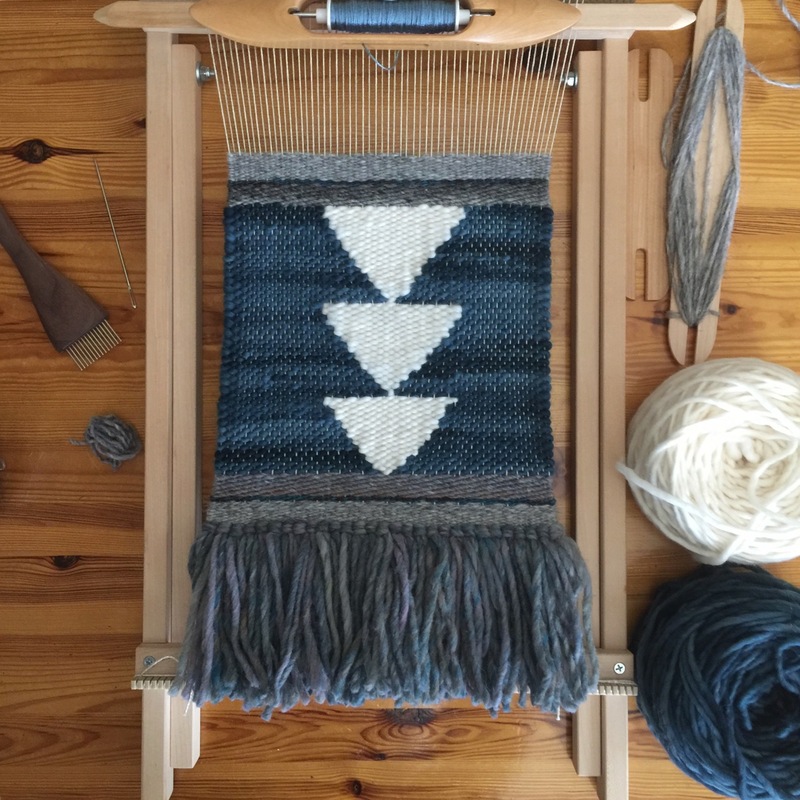 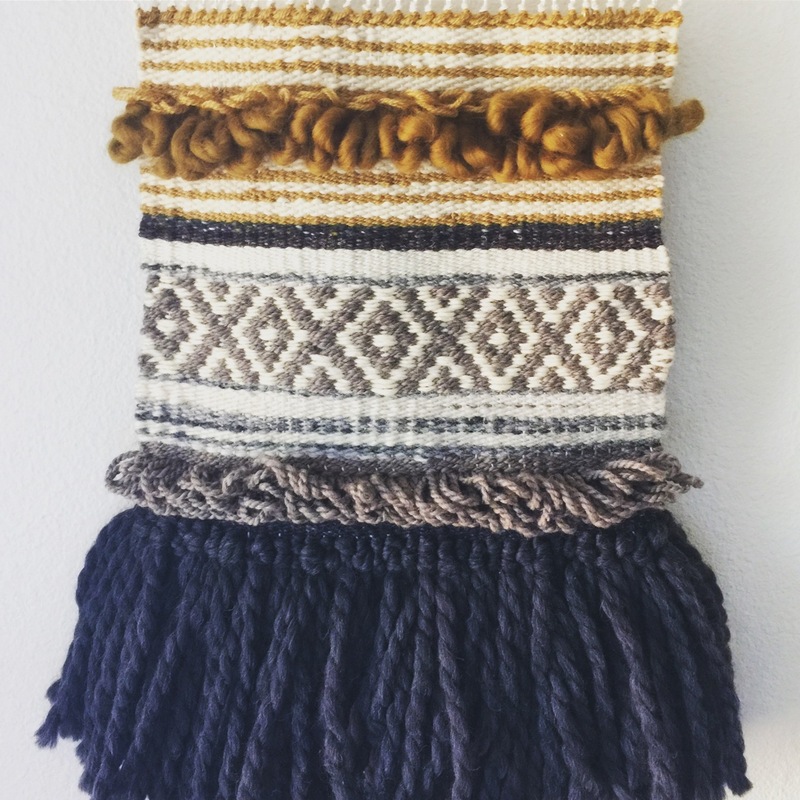 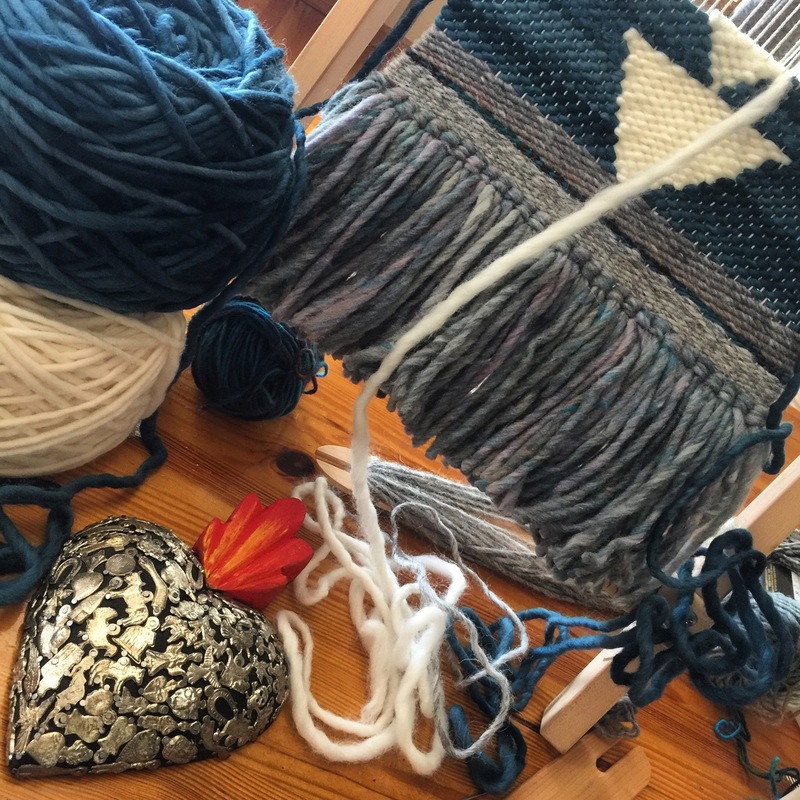 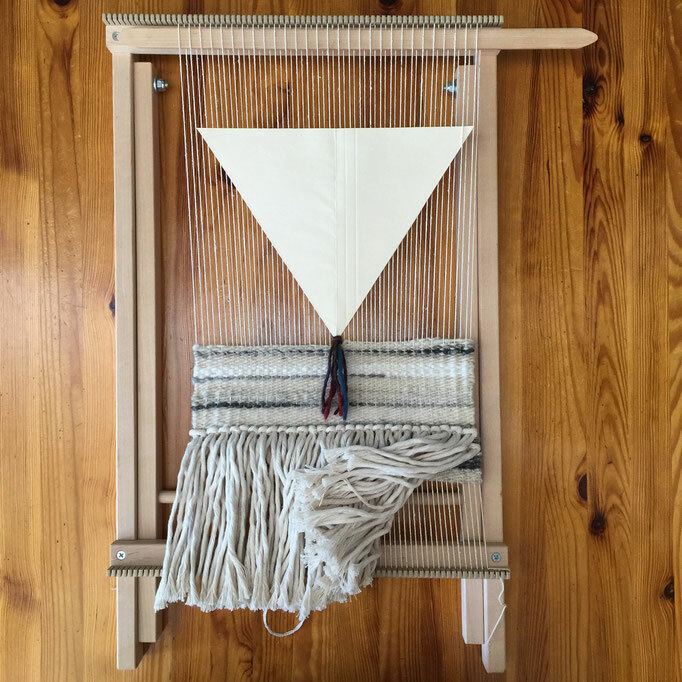 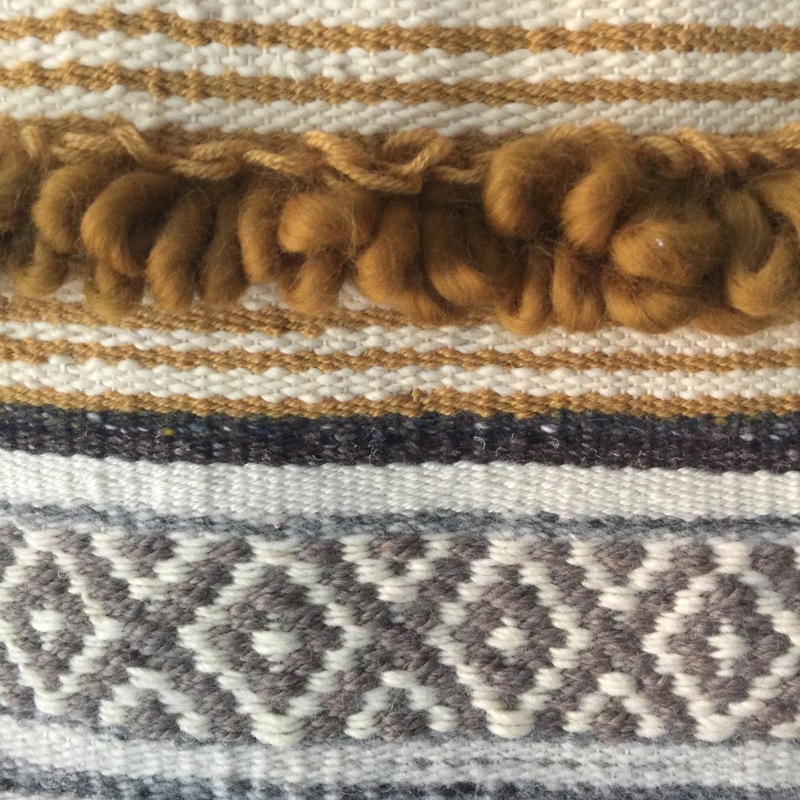 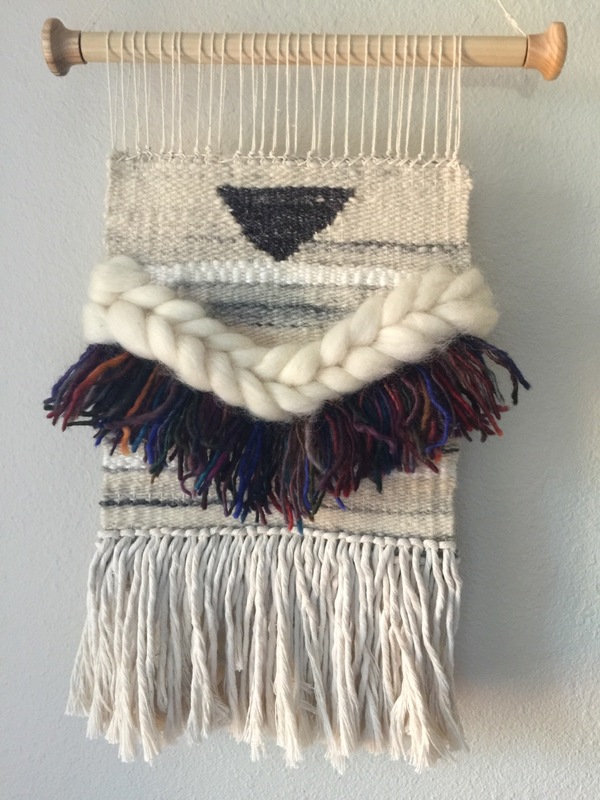 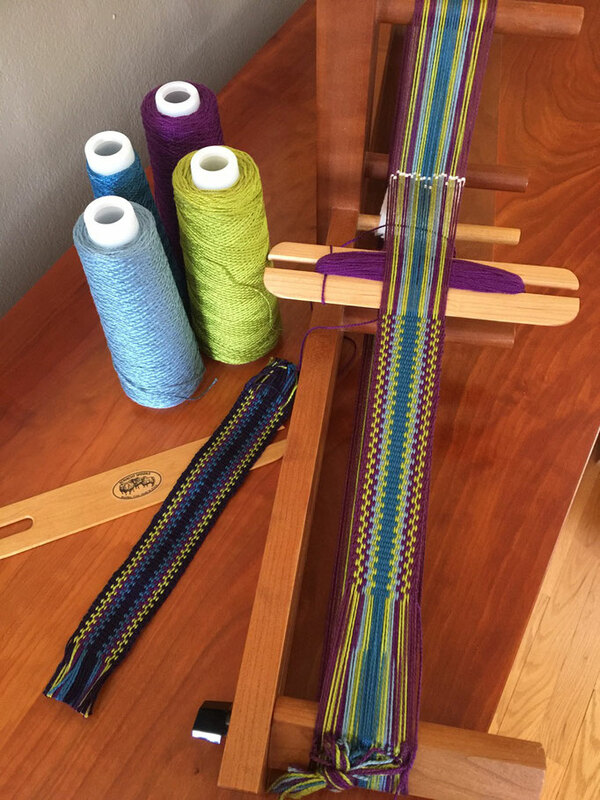 My Schacht tapestry loom (made right here in Boulder, CO) serves to capture the color, texture and design that emerge from my collection of wool, cotton, & silk yarns. 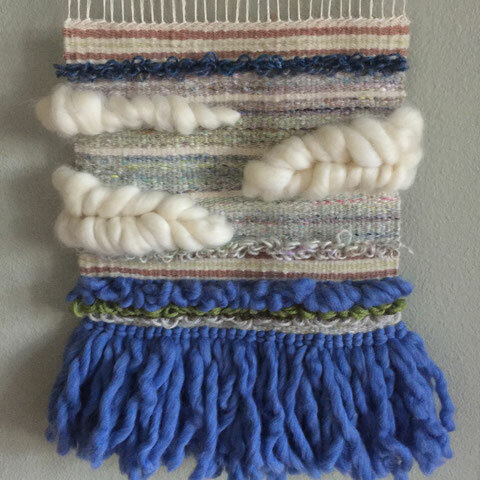 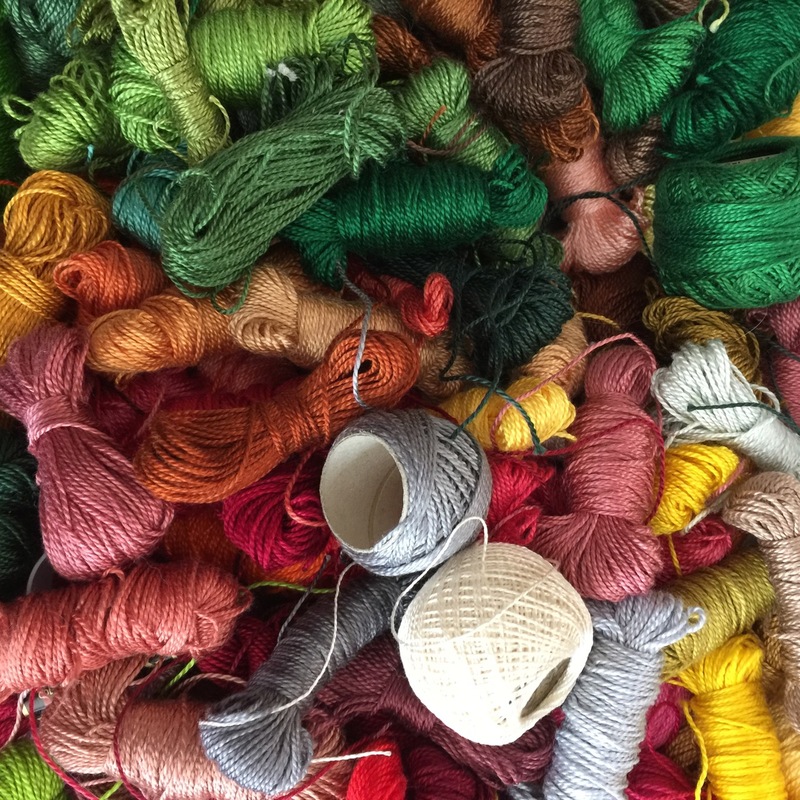 To begin, I pull from my collection of fibers, the colors and textures that fit with my vision or mood. 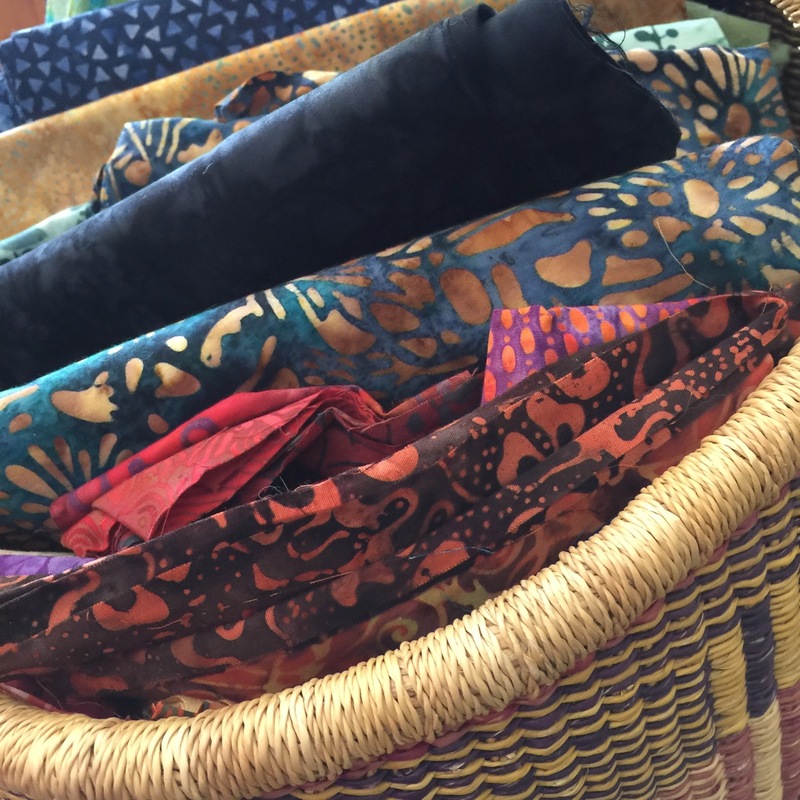 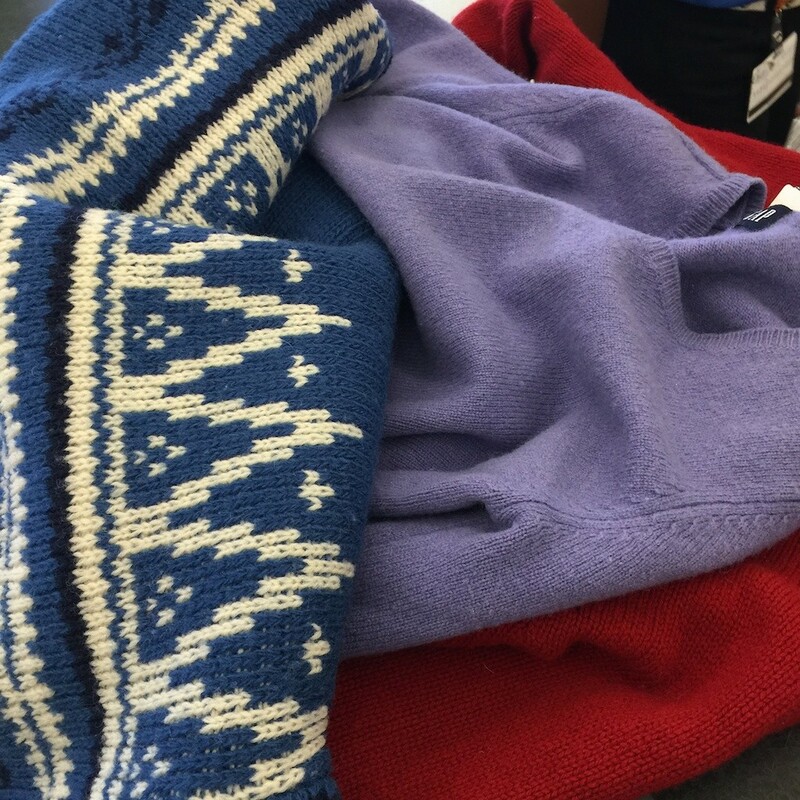 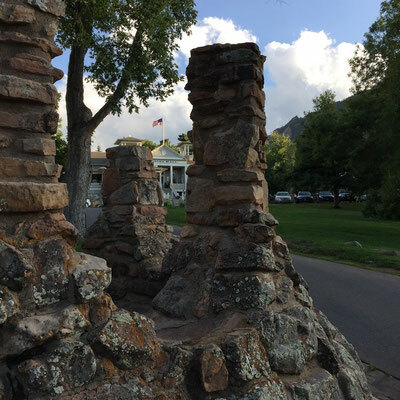 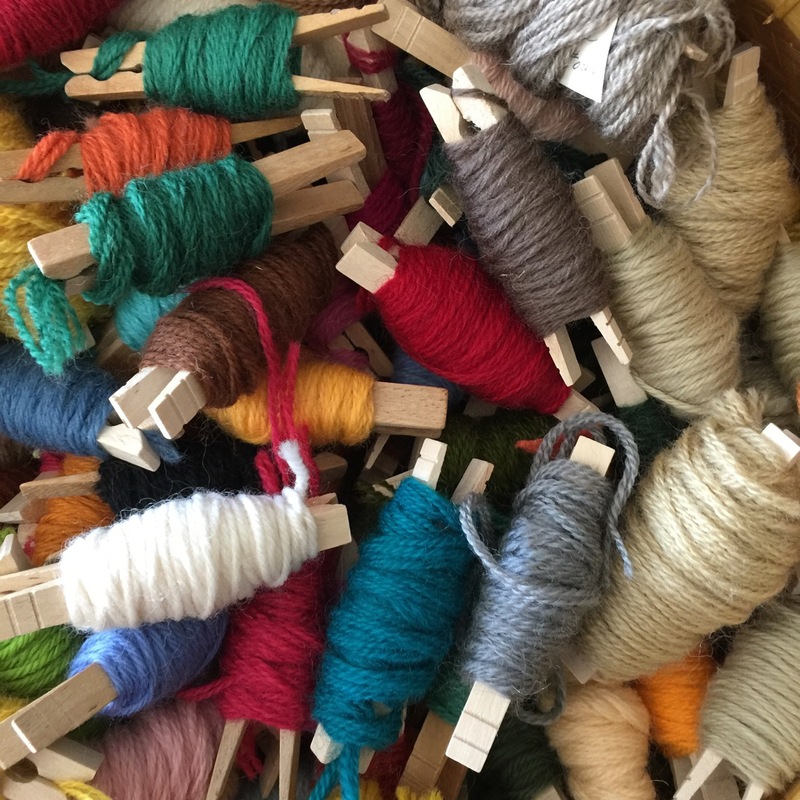 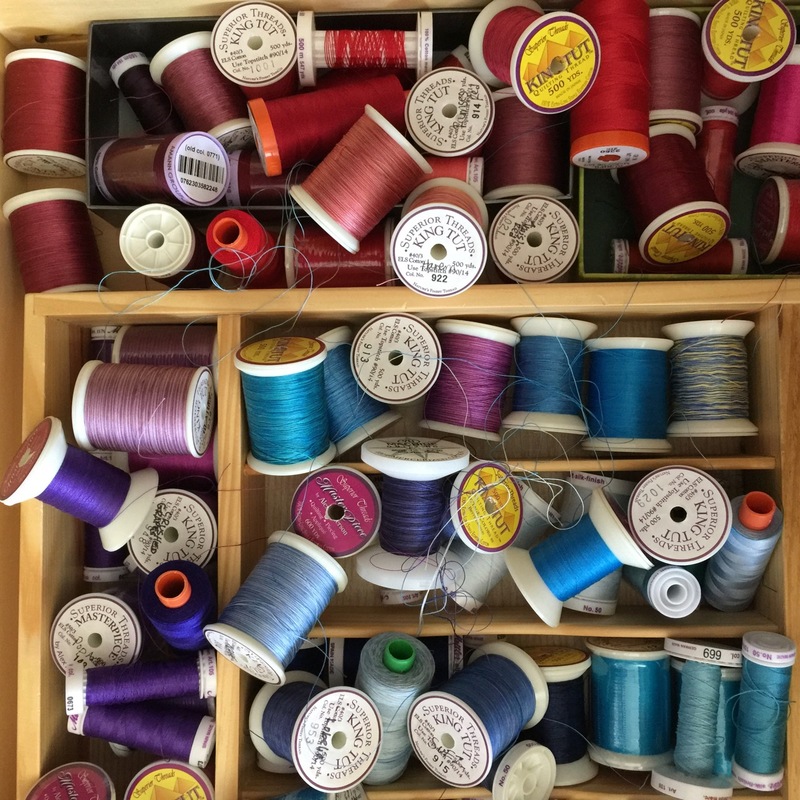 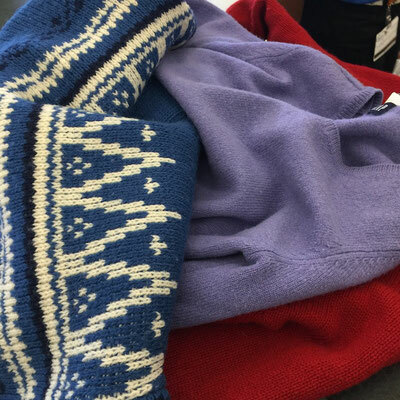 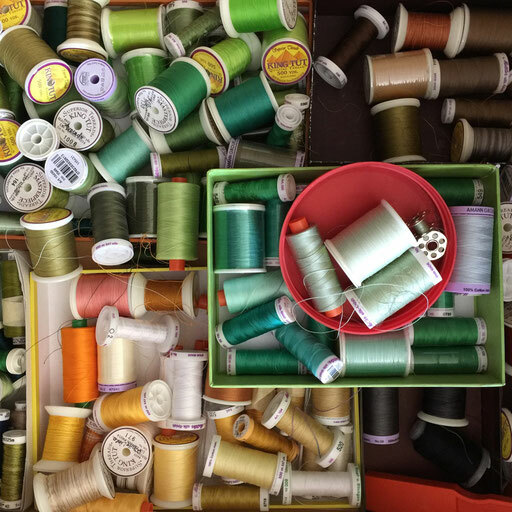 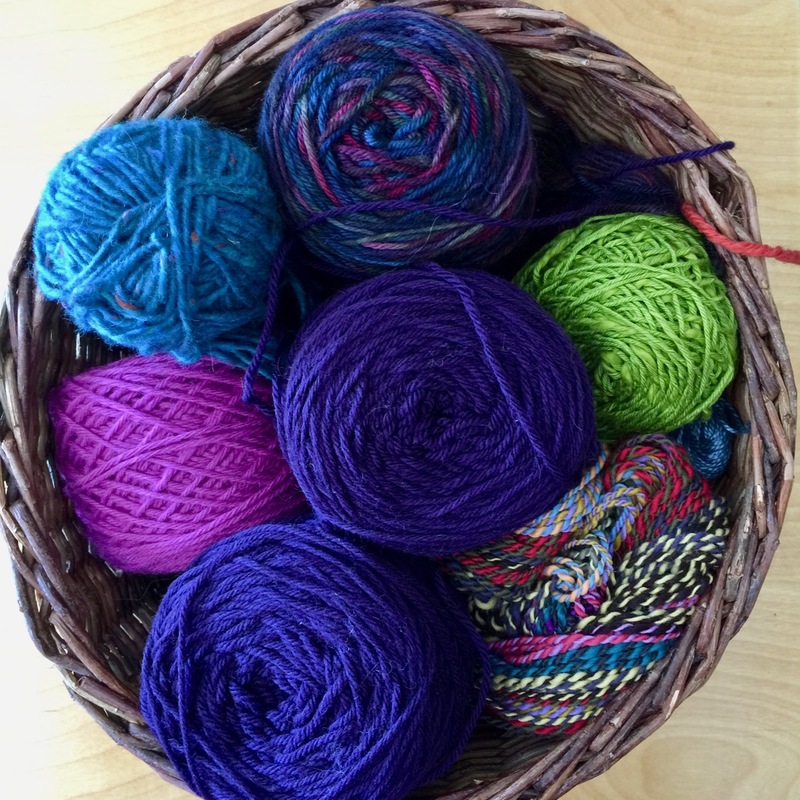 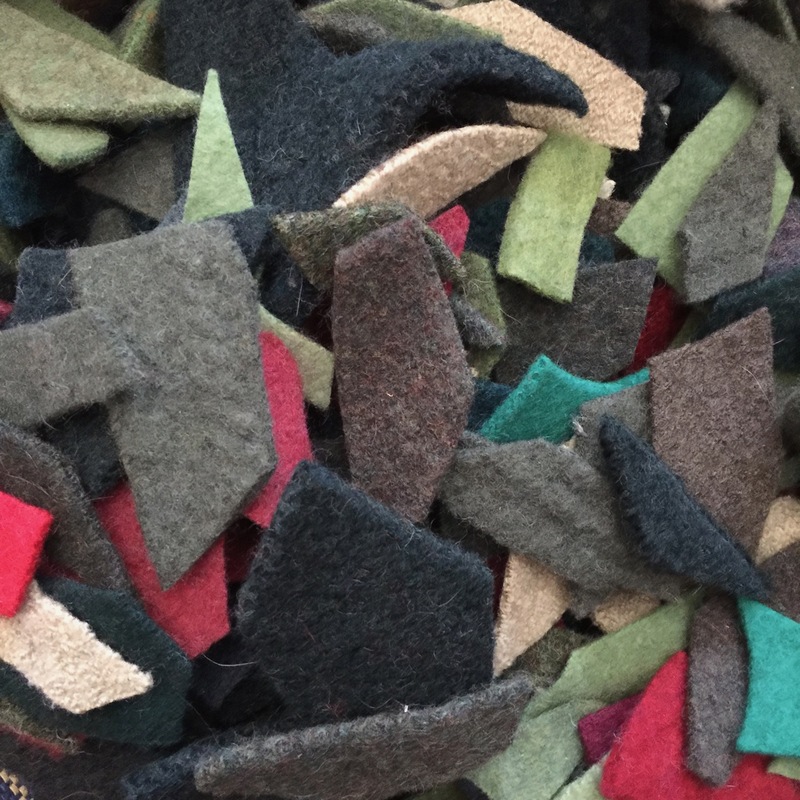 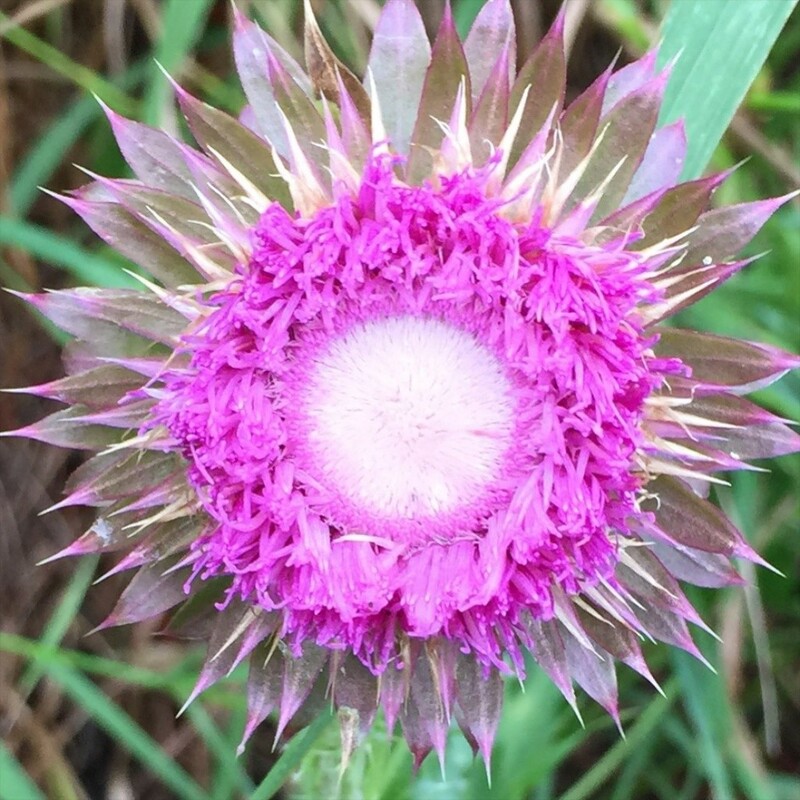 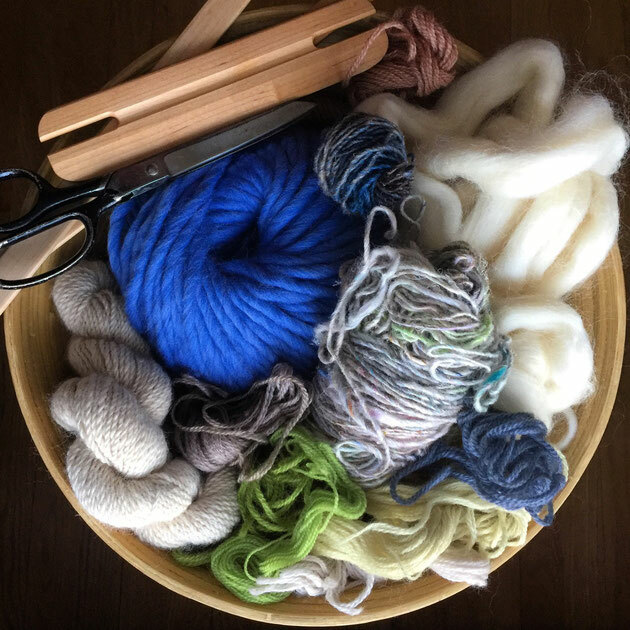 It is usually the materials that are speaking to me, often beginning with one fiber and then gathering more that fit with that first intriguing yarn. In the bowl pictured to the right, the variegated yarn with its neutral base and flecks of blues and greens, made me yearn for spring especially as a winter storm warning approached outdoors. 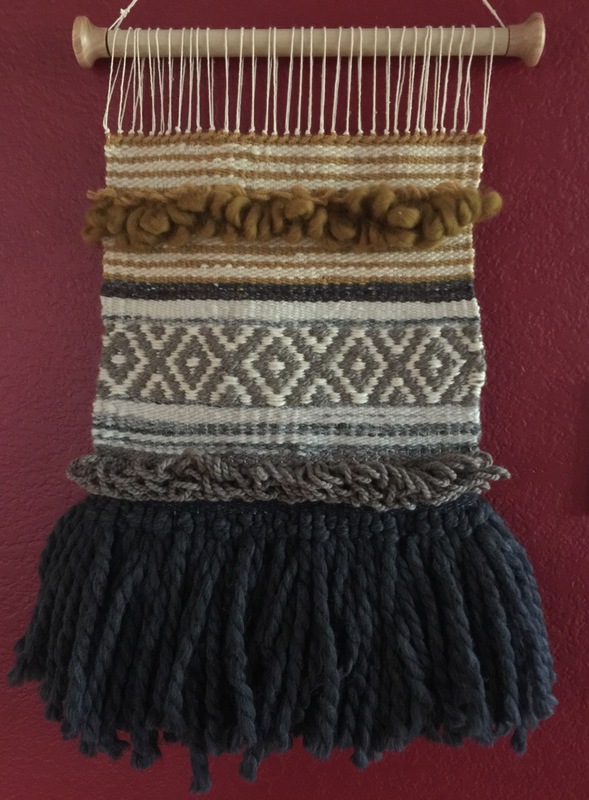 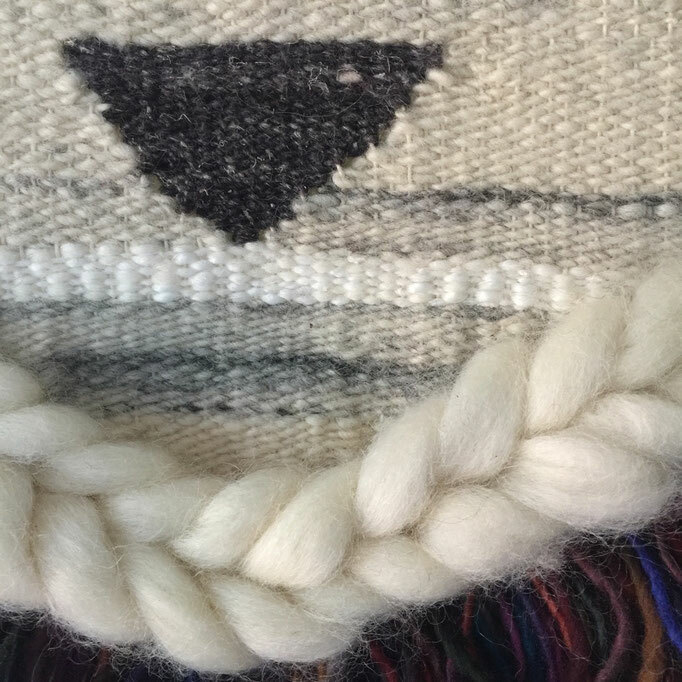 Textural contrasts are really important to me, so I grabbed the blue super bulky wool for the bottom fringe (tapestry weaving happens from the bottom up!) and then added more texture with the rya loops woven with wools of different weights. I love that I don't always know what will come next and that each new row of weaving is a new decision. (Some tapestry weavers use a paper cartoon behind the loom to guide the design, but I prefer a free-form, intuitive approach.) 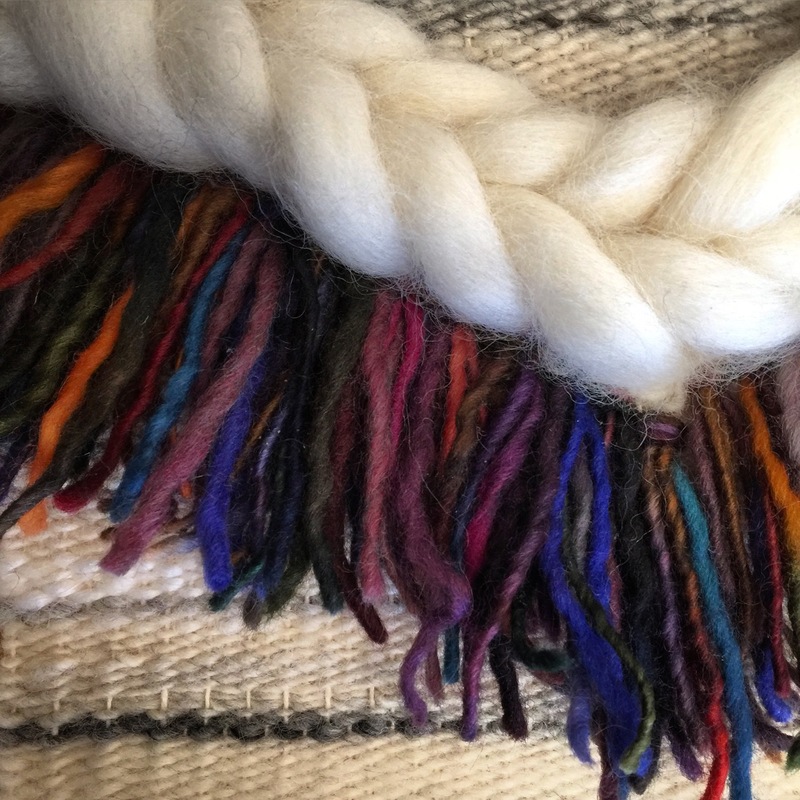 Seeing the color and feeling unfold is the most exciting part of weaving for me. 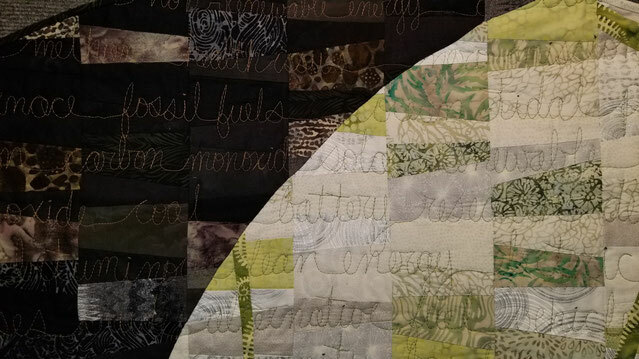 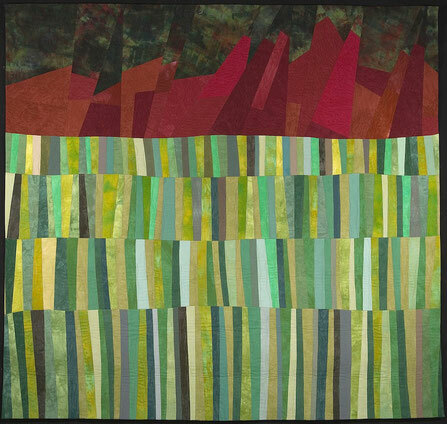 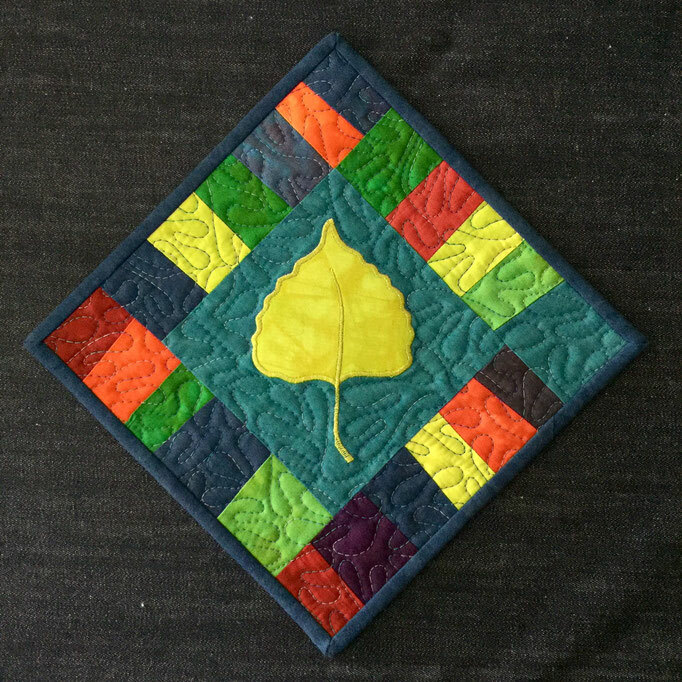 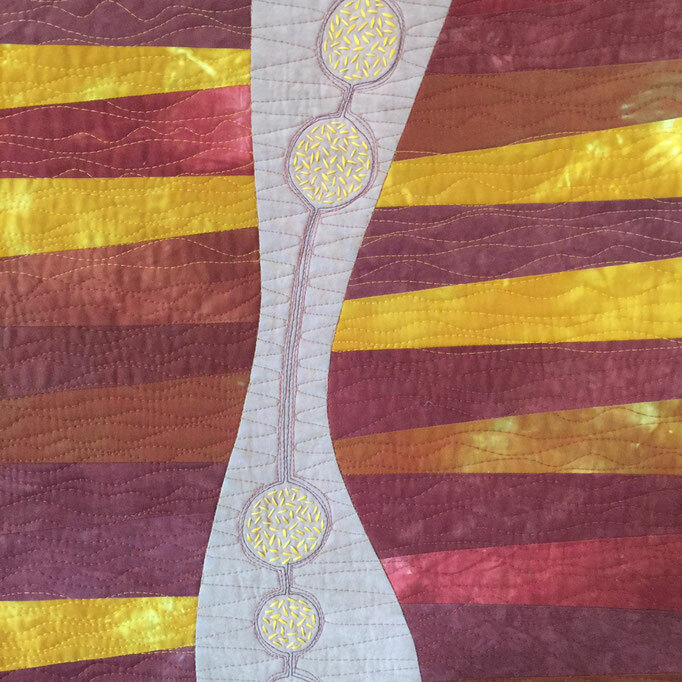 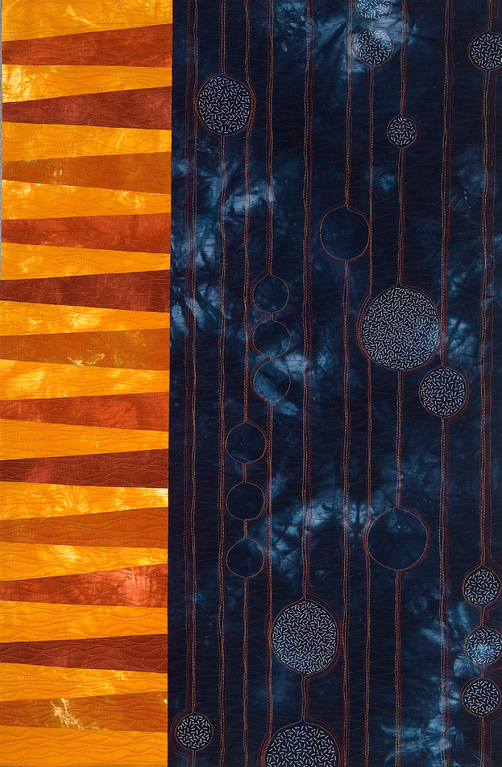 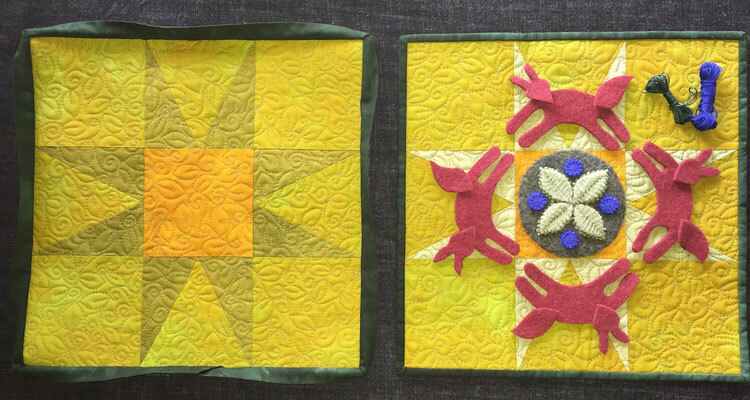 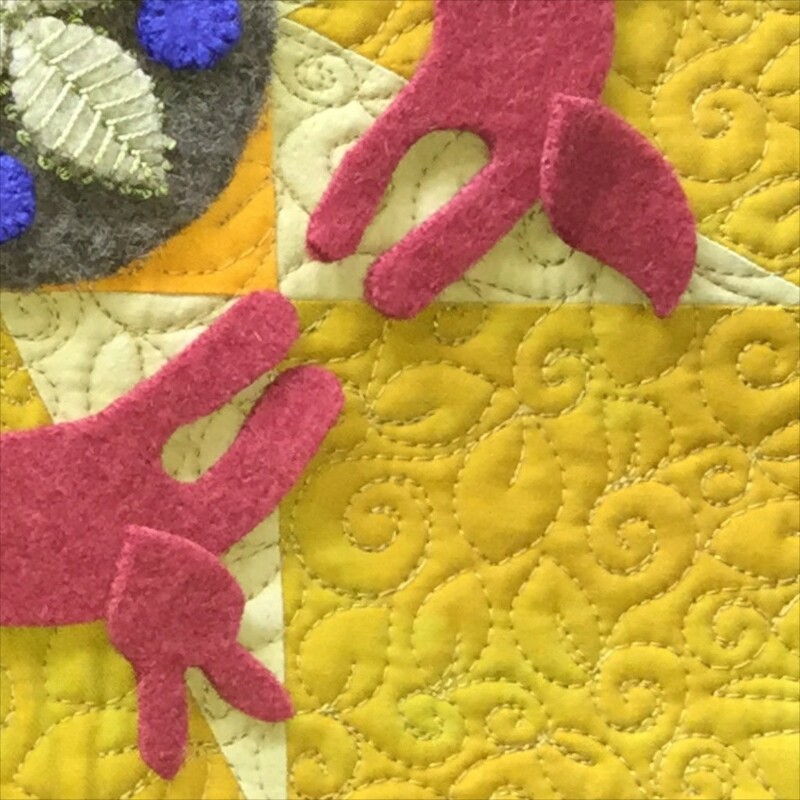 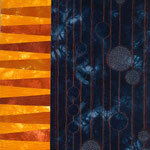 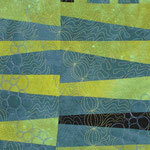 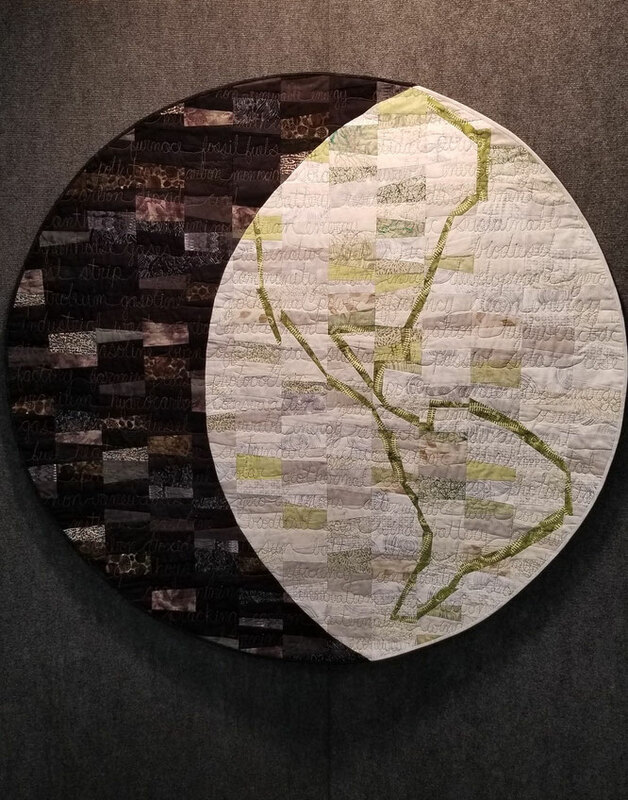 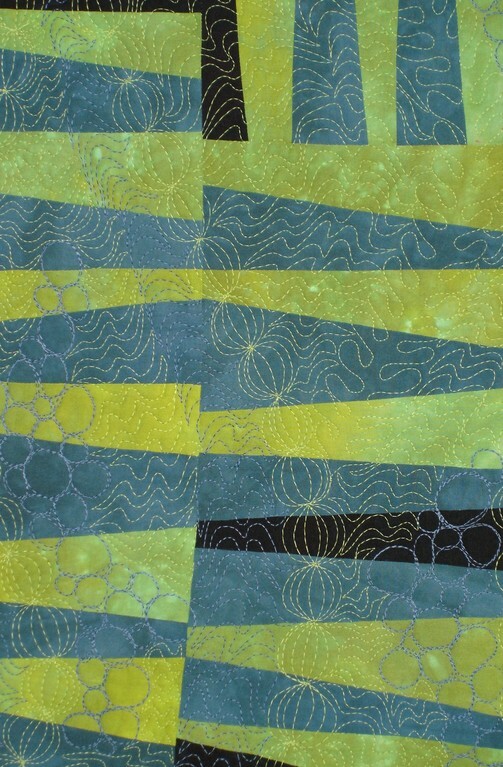 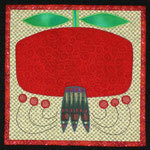 I began years ago quilting traditional patterns and then my own free-form contemporary designs. 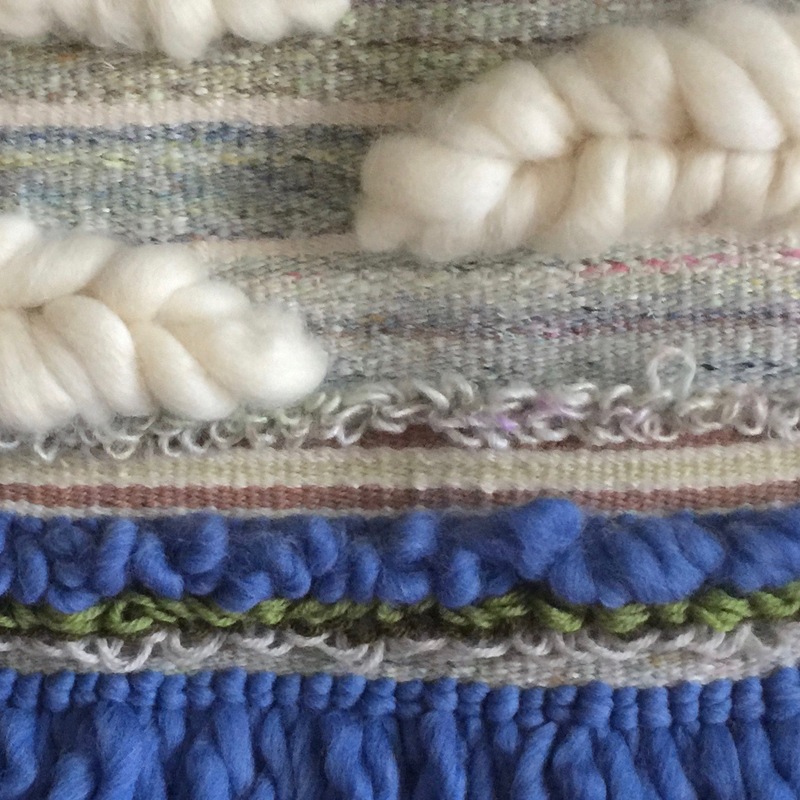 Along the way, I've been felting, crocheting, dyeing, and a bit of weaving . 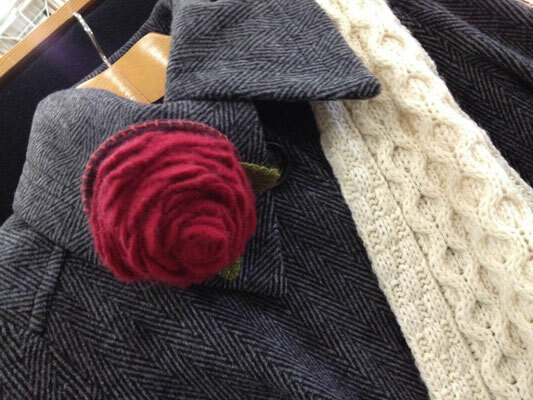 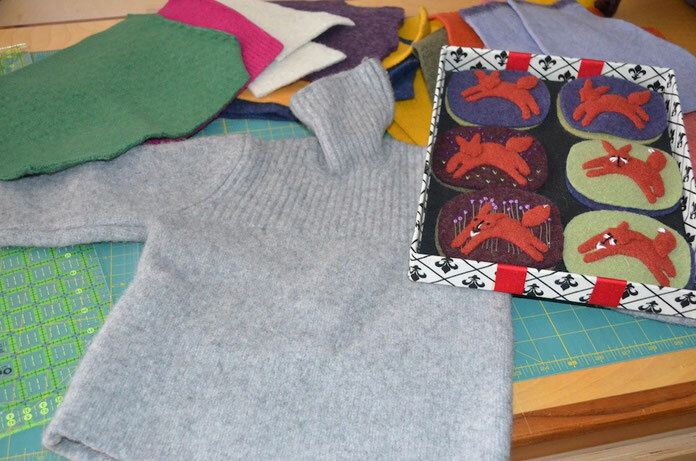 But, what pulls all of these techniques together is the way that the gorgeous organic materials of cotton and wool, inspire new creations. The materials and techniques are just mediums for the hands to build with, to create. 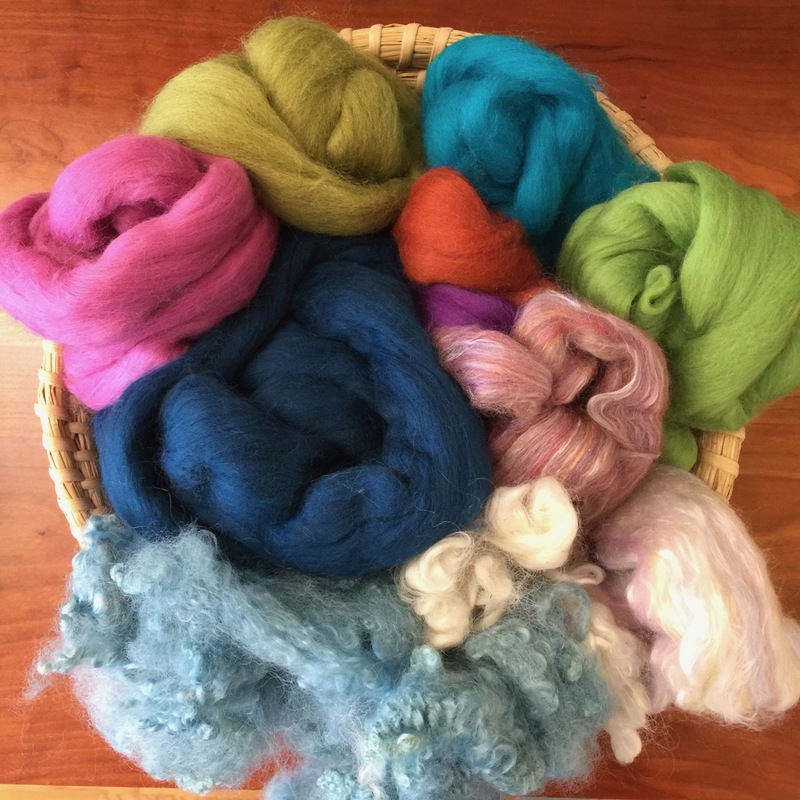 Fiber is a truly endless source of joy and inspiration. 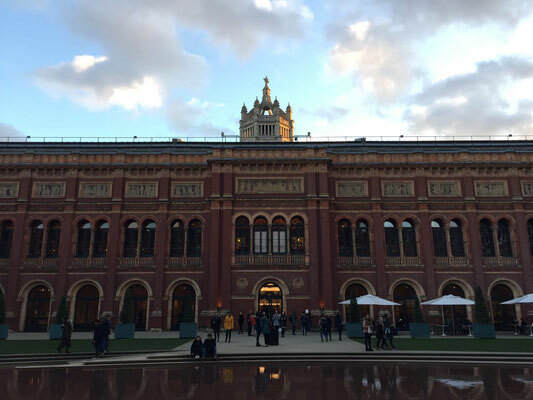 Have you been watching Masterpiece Theater's production of "Victoria"? 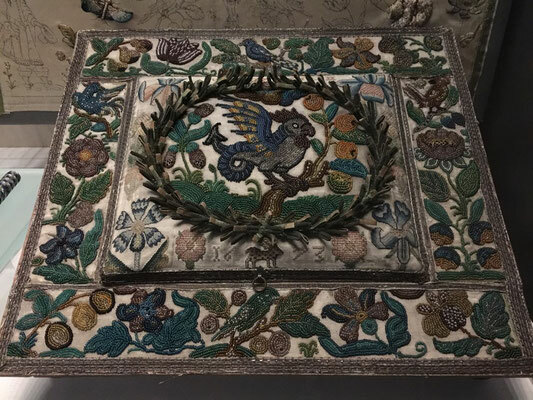 It's a fascinating look into the unique royal partnership of the newly formed House of Windsor that saw the industrialization of Great Britain. Queen Victoria and Prince Albert cared very much about art, music, culture and history. 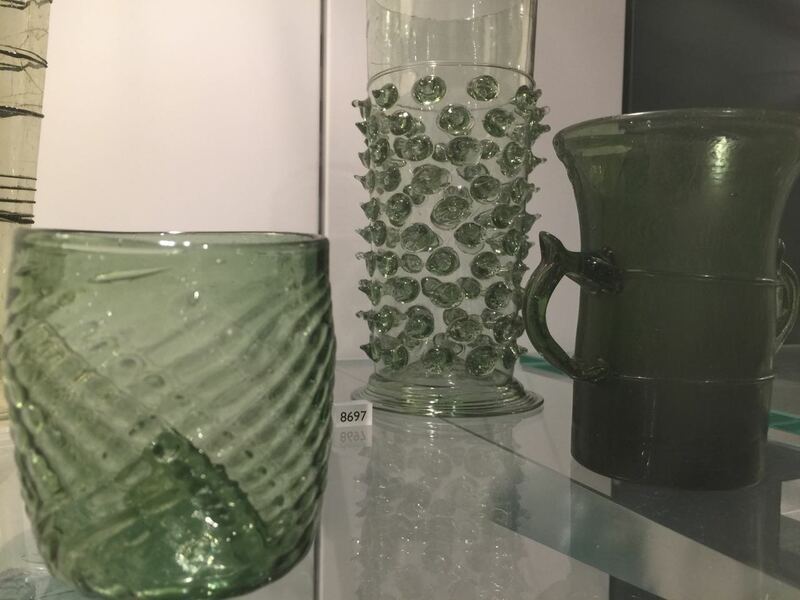 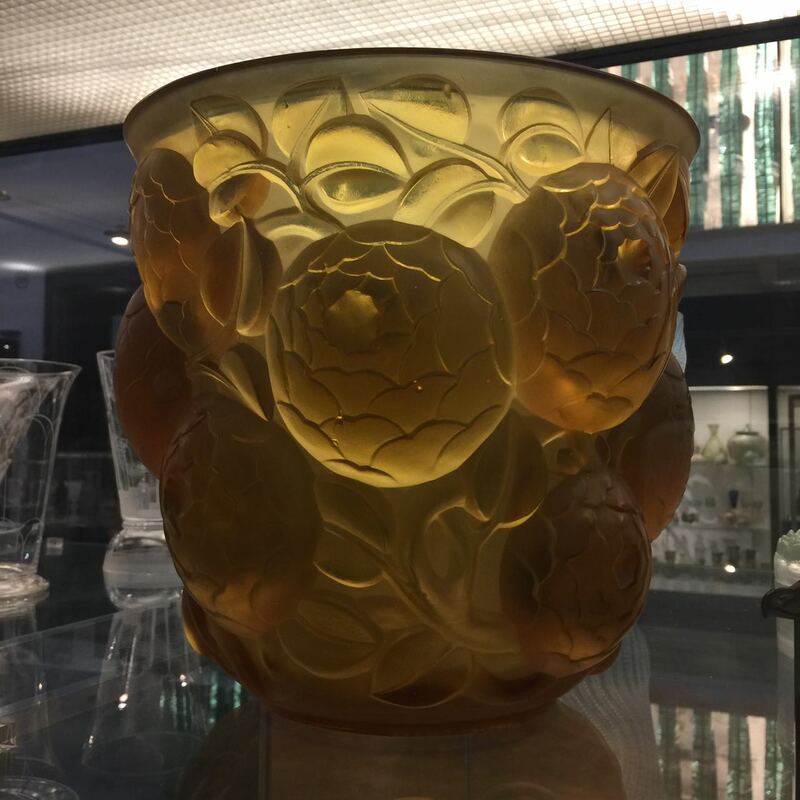 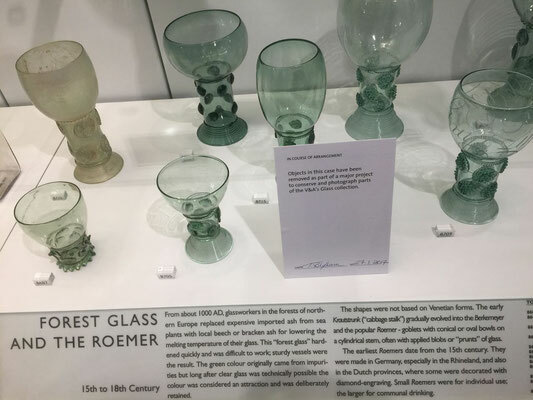 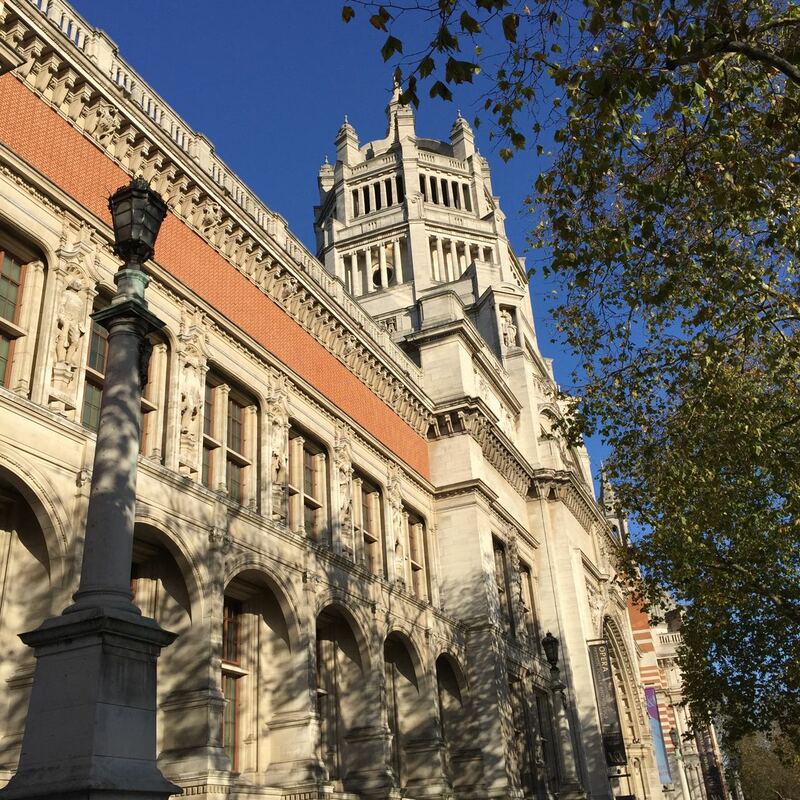 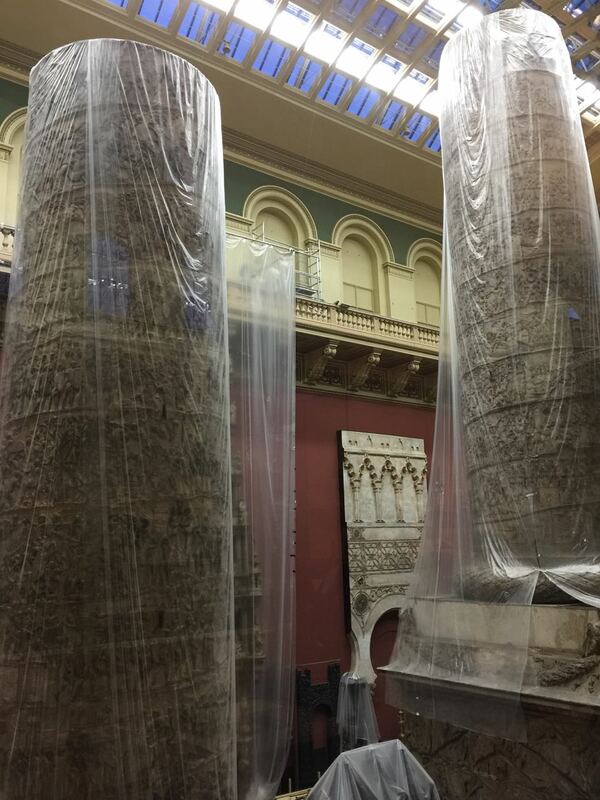 The V&A Museum houses vast (and I mean huge) collections of arts and crafts from the far reaches of the world, so that the museumgoer can see the development of an art from its inception thousands of years ago, to modern production. 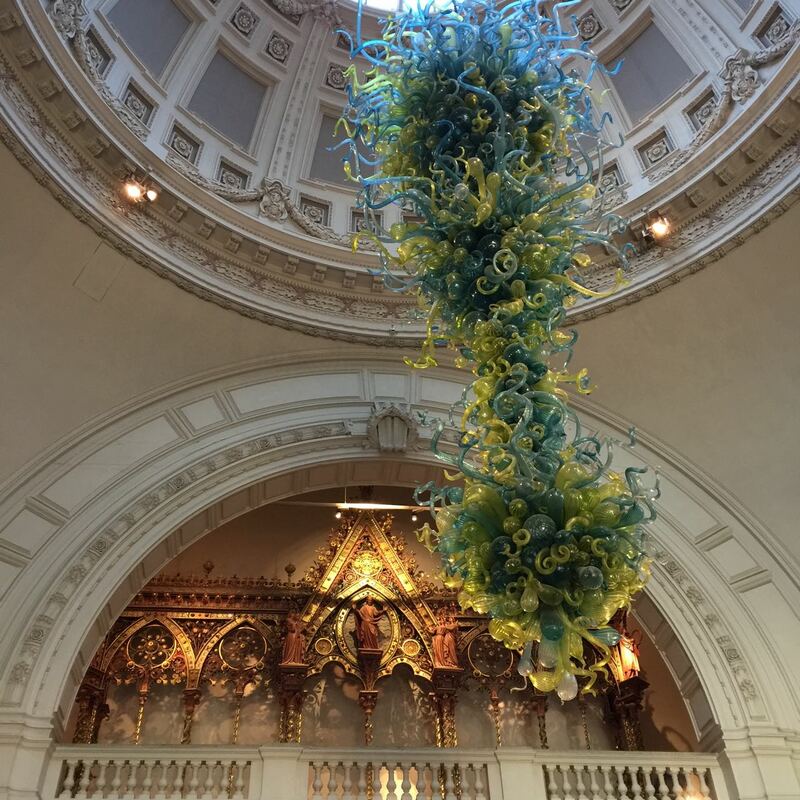 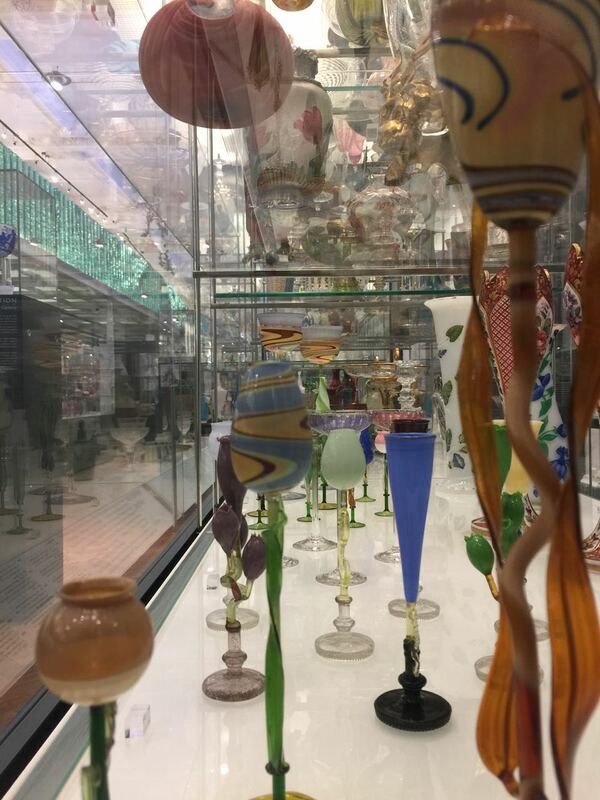 On my visit to London in November 2017, by far my favorite floors of the V&A were Ceramics and Glass (separate floors!). 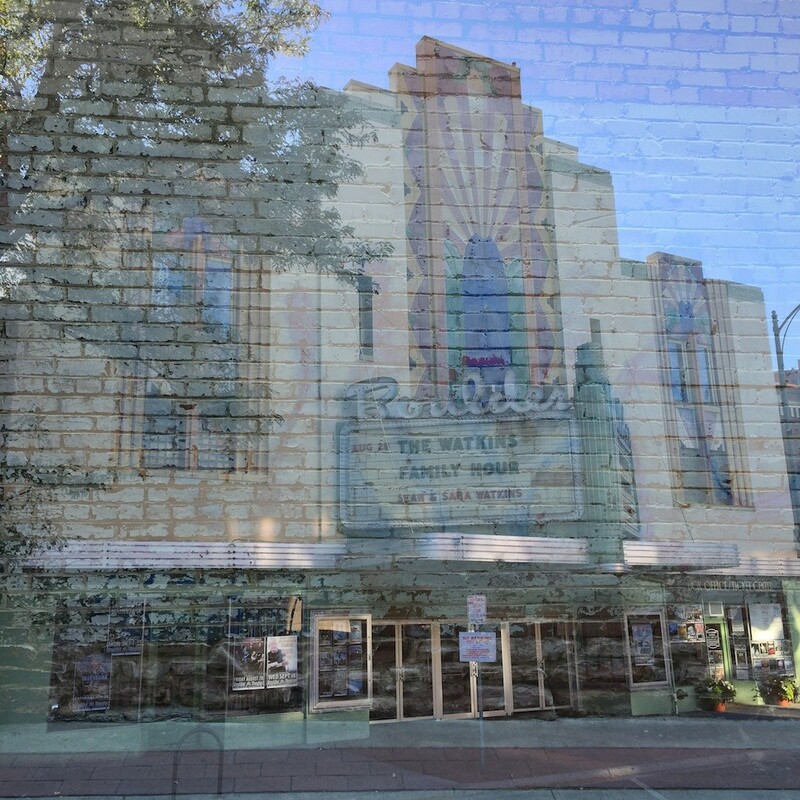 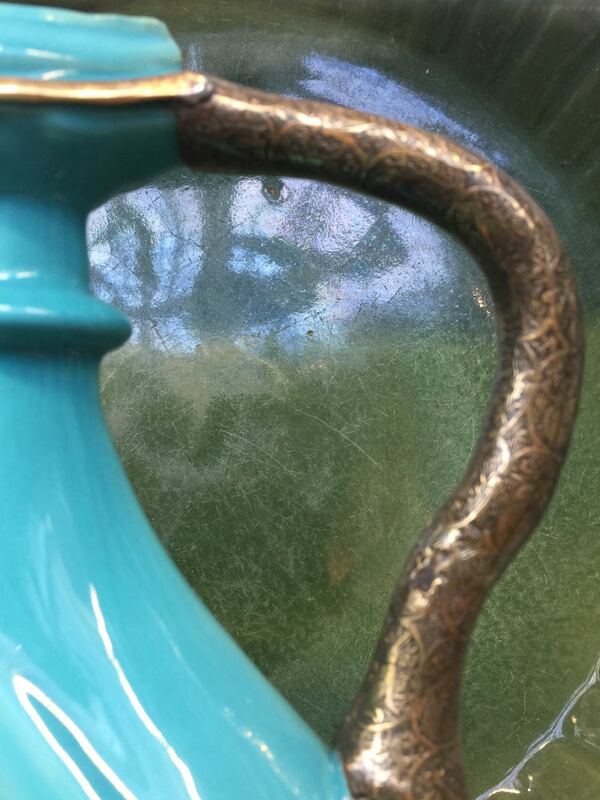 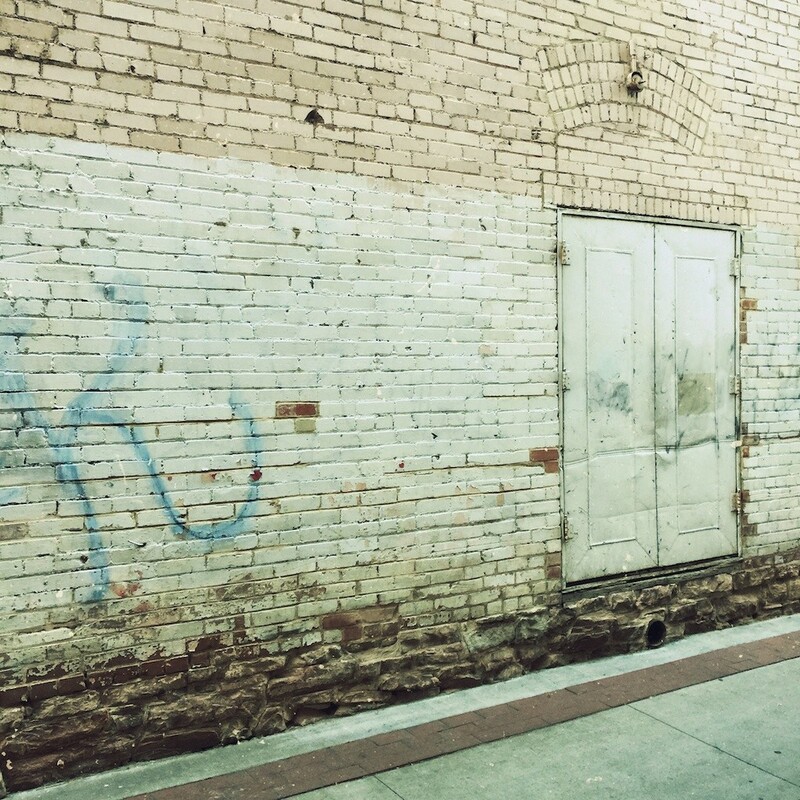 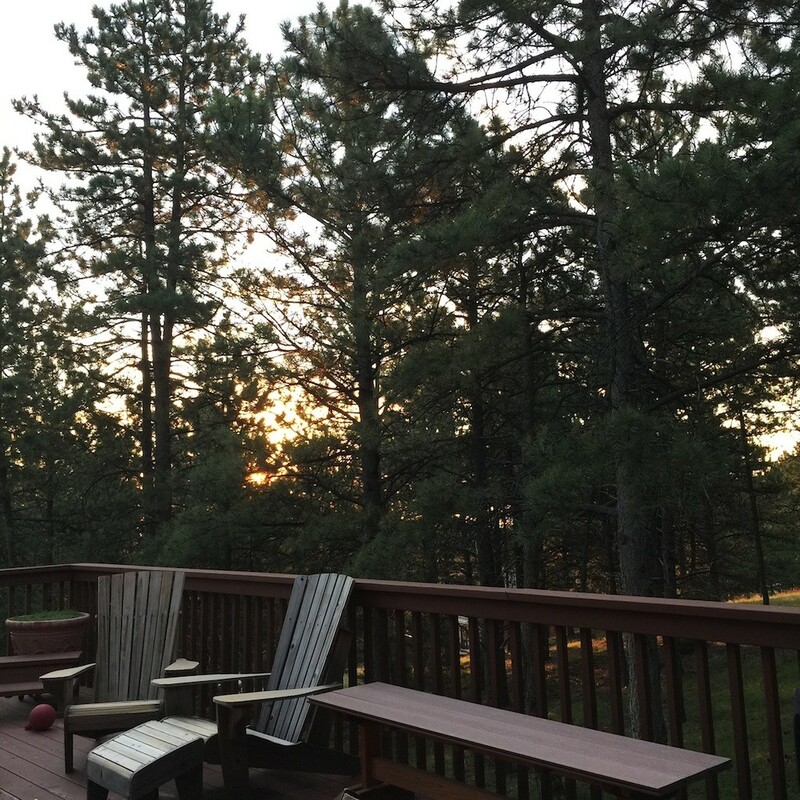 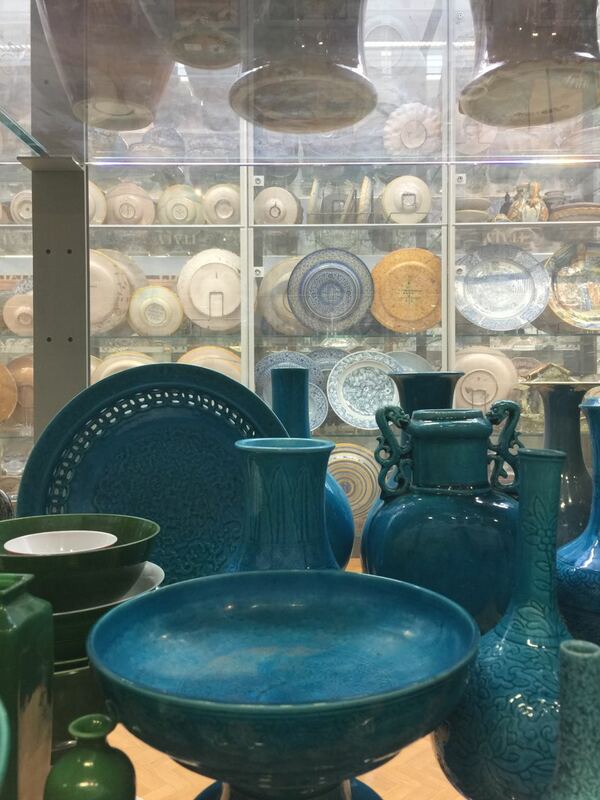 Look closely at the first photo of the blue pottery above. 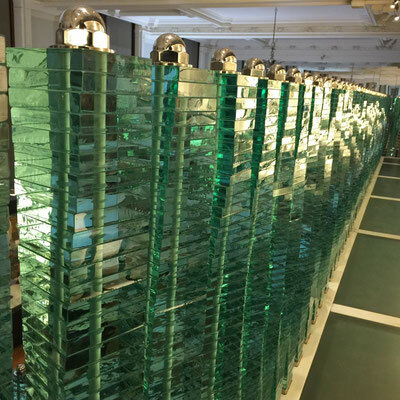 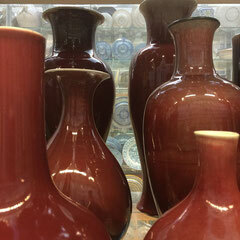 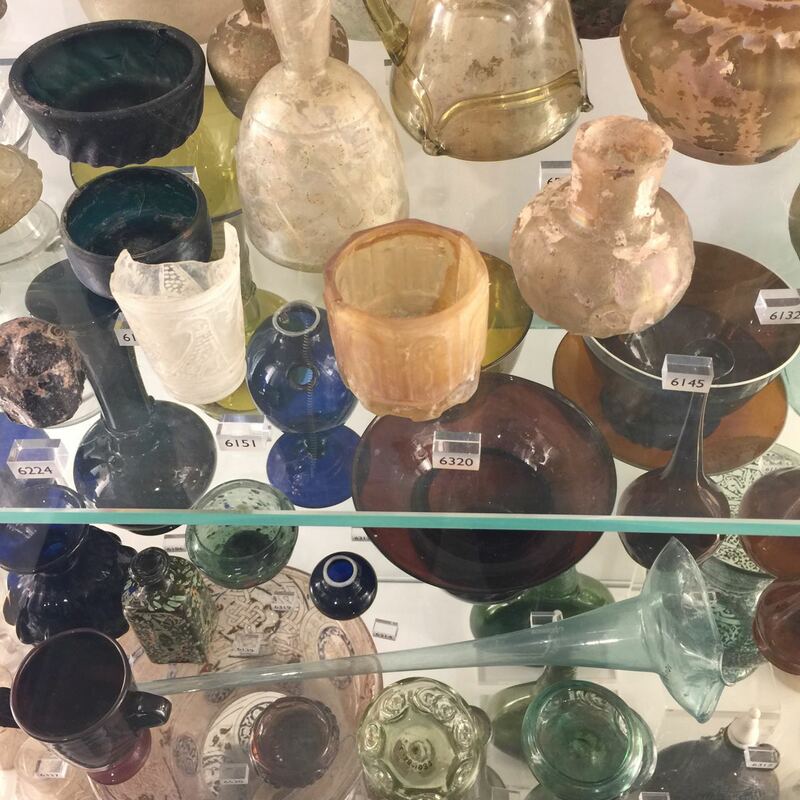 You will see in the background, glass display cases absolutely packed full of ceramics. 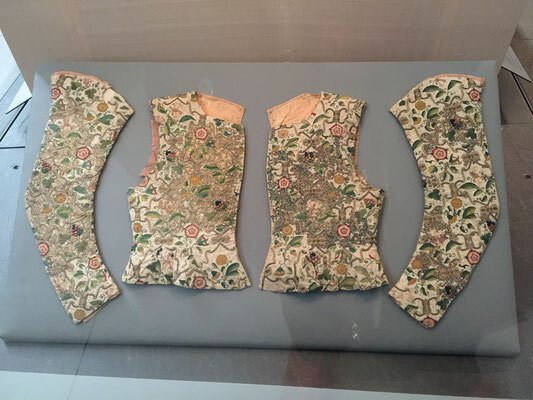 The shear number of pieces on display in the V&A nearly knocked me flat. 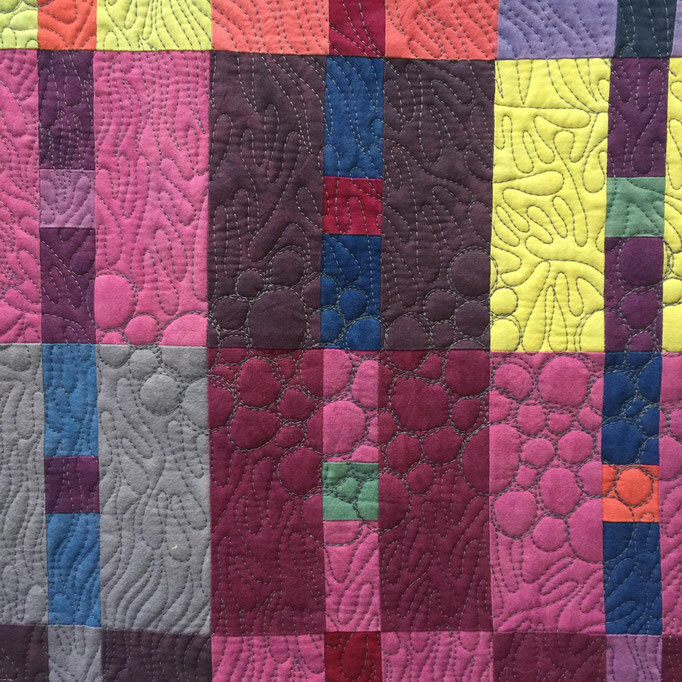 It's color, texture, form and design overload! 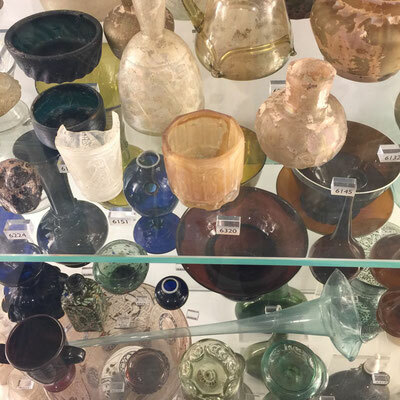 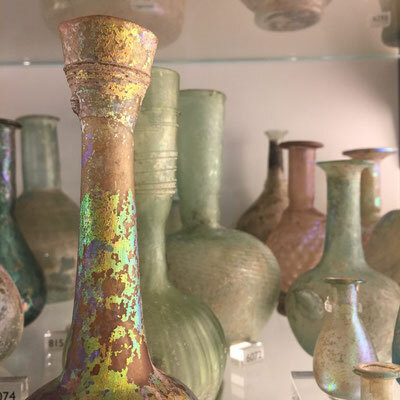 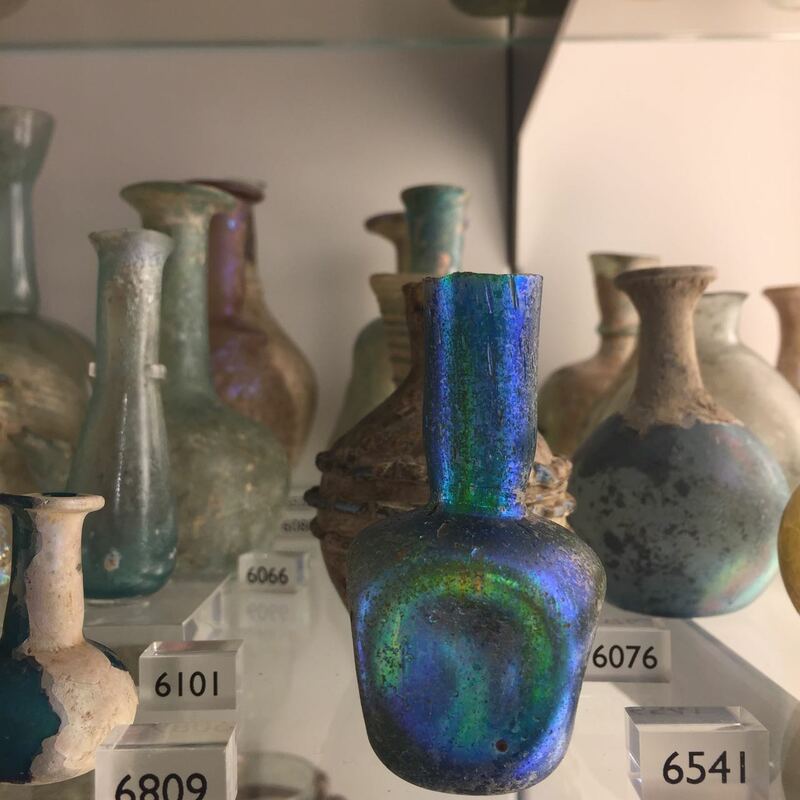 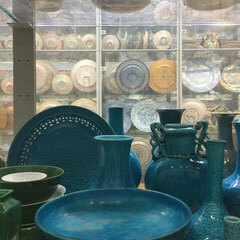 On top of this overwhelming display is the historical documentation of the development of mineral glazes and techniques from around the world from BCE to the present. 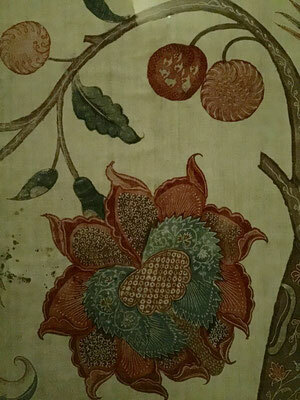 I could have spent my entire week in London visiting the V&A everyday, and never seen enough, nor gotten bored. 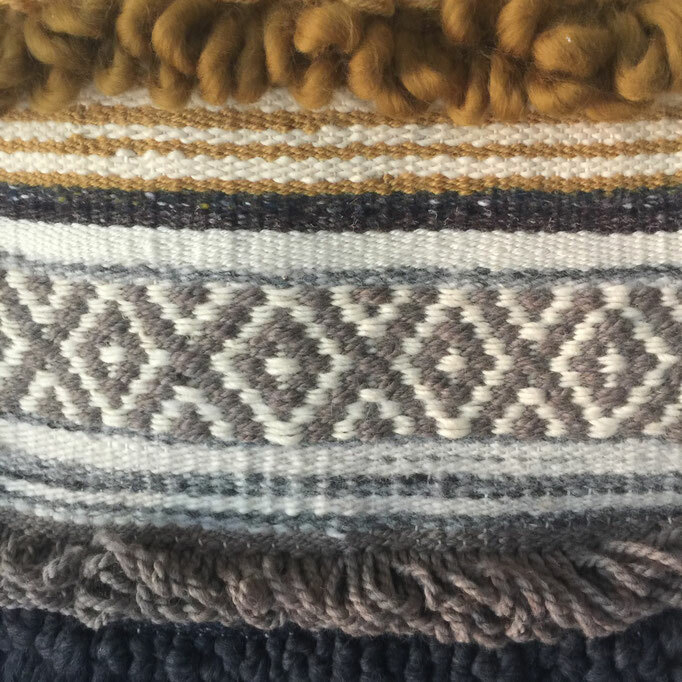 The inspiration of the color alone was amazing. 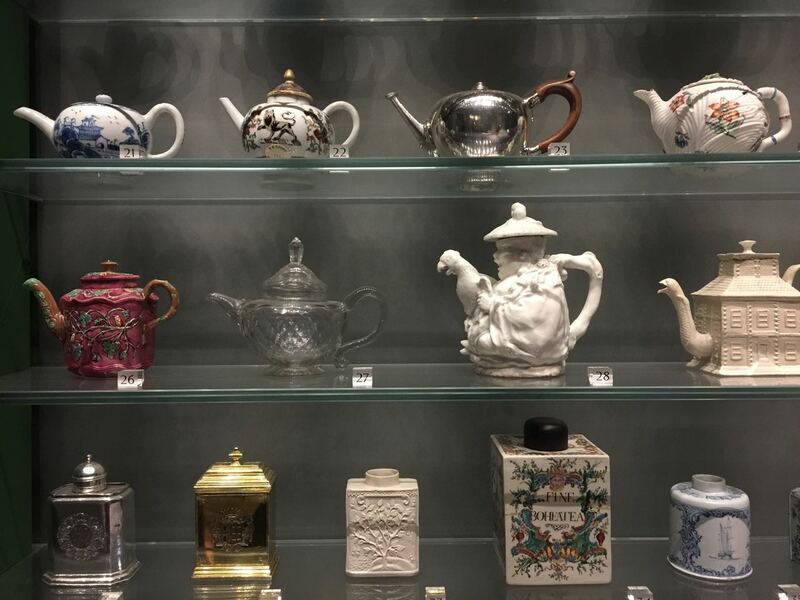 Other highlights of the V&A were the textiles, my favorite of any design museum: the CHAIR room, wrought iron grill work display, teapots scattered everywhere in the museum,and that the cafe served coffee, cake and cans of GIN & TONIC! 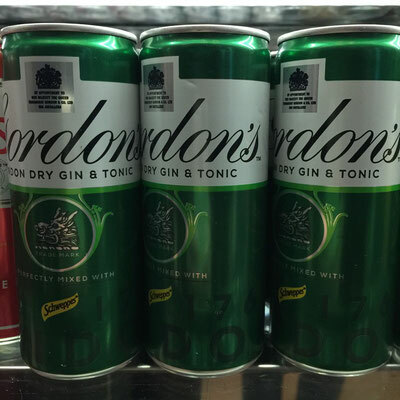 You have got to love the Brits! 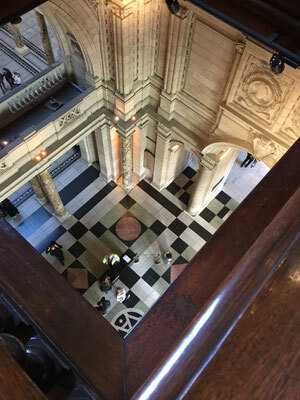 I close with a peek from a 6th floor window of the V&A Museum. 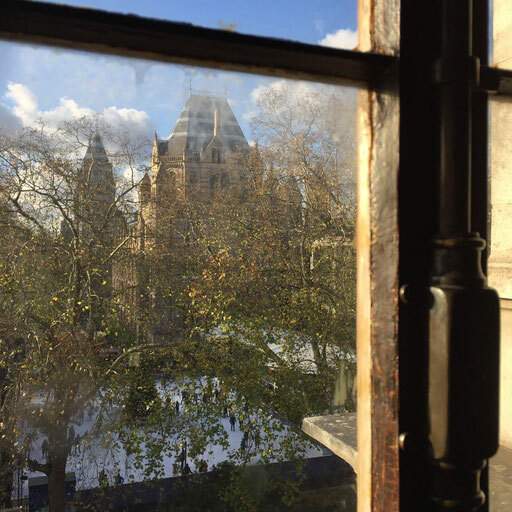 Looking through the original casement window, you can see the Natural History Museum of London next door and the winter skate below in its courtyard. 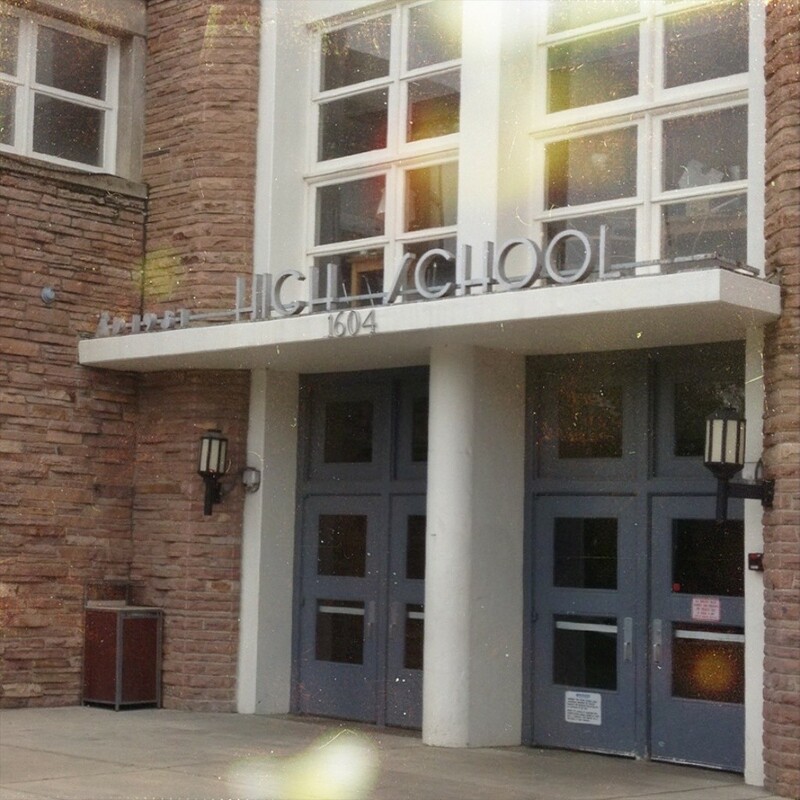 It seems a timeless view, transporting. 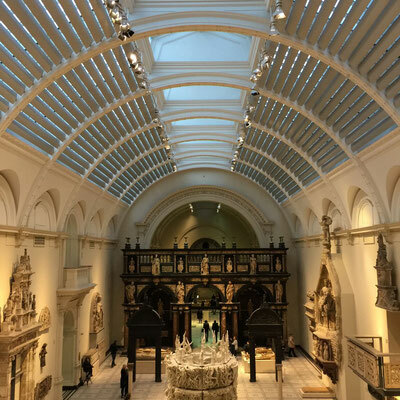 For me, visiting museums can be sensory overload but I invite that! 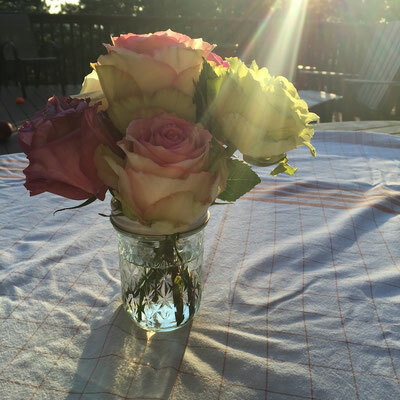 More importantly, it serves to fill the soul. 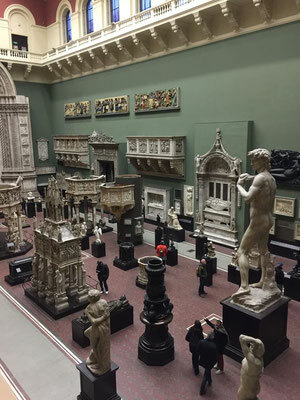 I continue to remember rooms and displays from the V&A and draw from these memories in my work. The V&A Museum is open daily (except Christmas) and like most museums in London, admission is free. 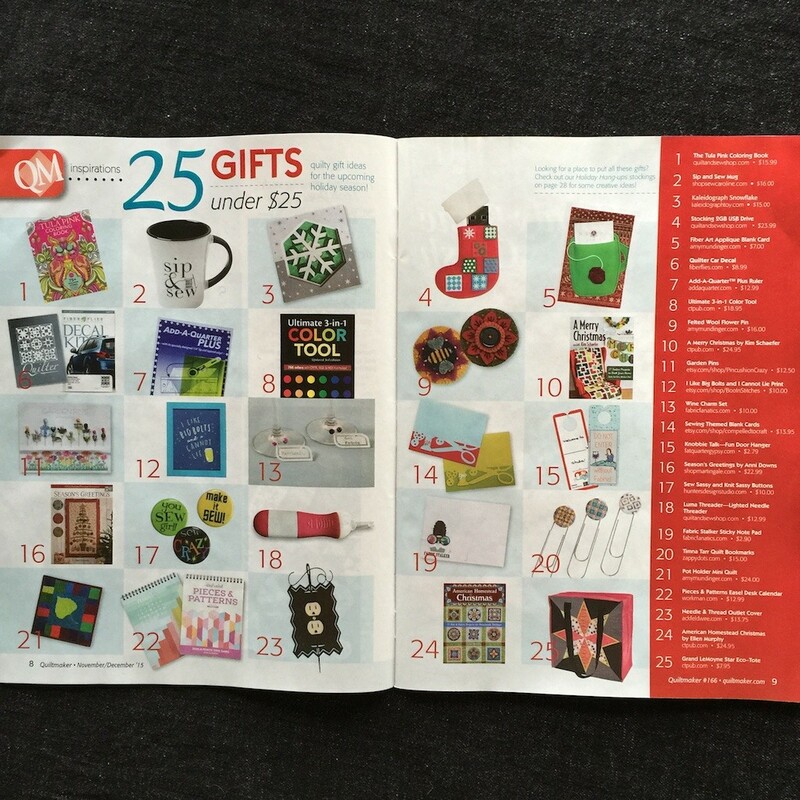 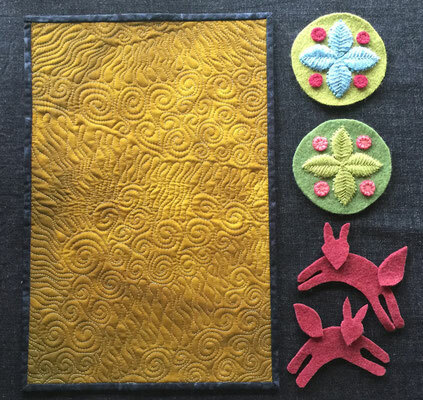 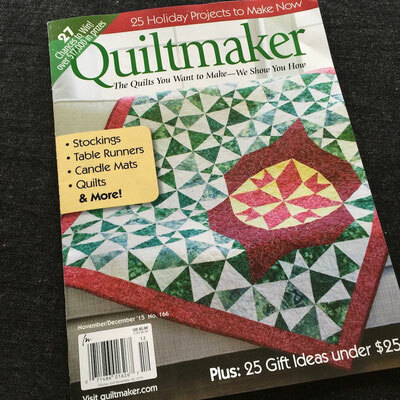 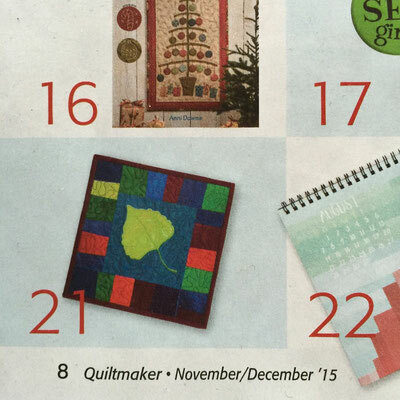 Check out the Nov/Dec 2015 issue of Quiltmaker Magazine -- Page 8's feature is "25 Gifts under $25" and there you'll find three items from my on-line store -- Potholder/Mini Quilt, Artist Fiber Art Card, and Felted Wool Flower Pins. 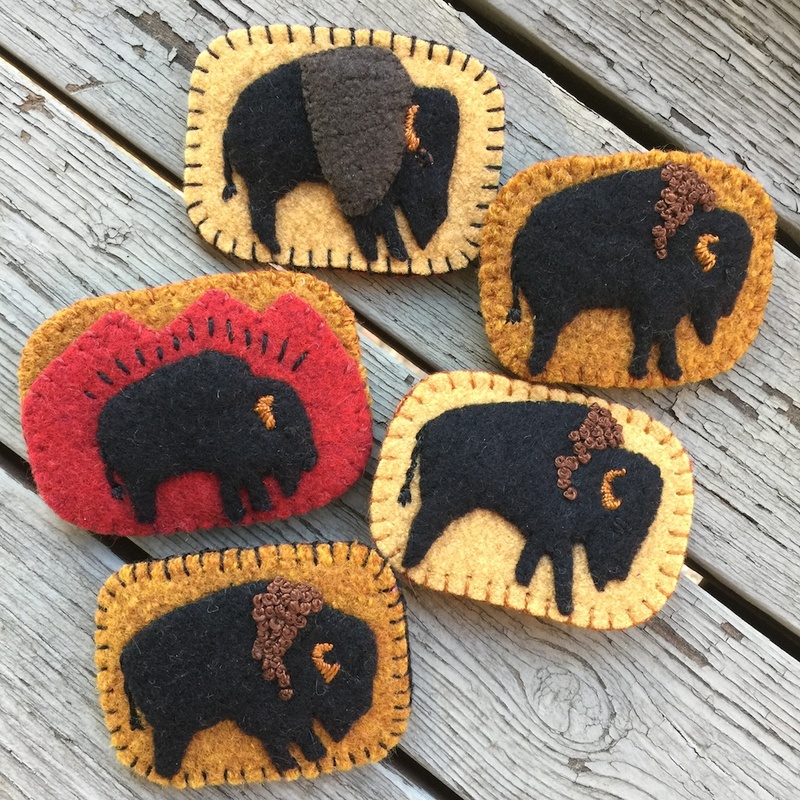 You can find all of these in my on-line store! 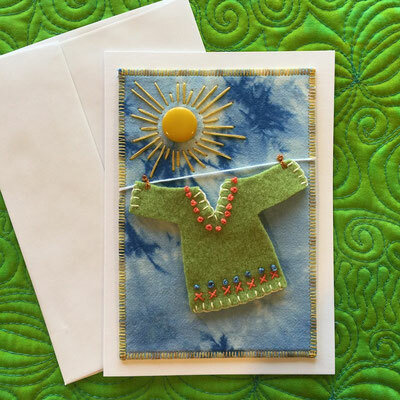 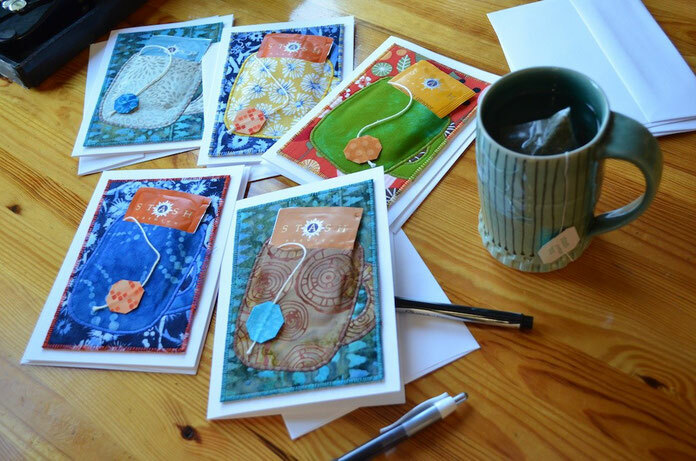 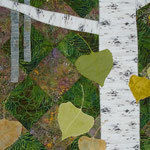 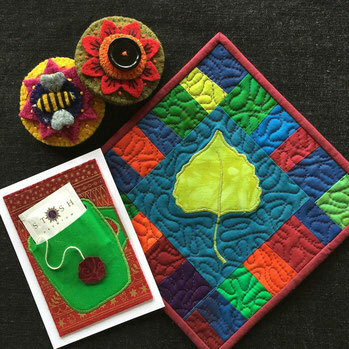 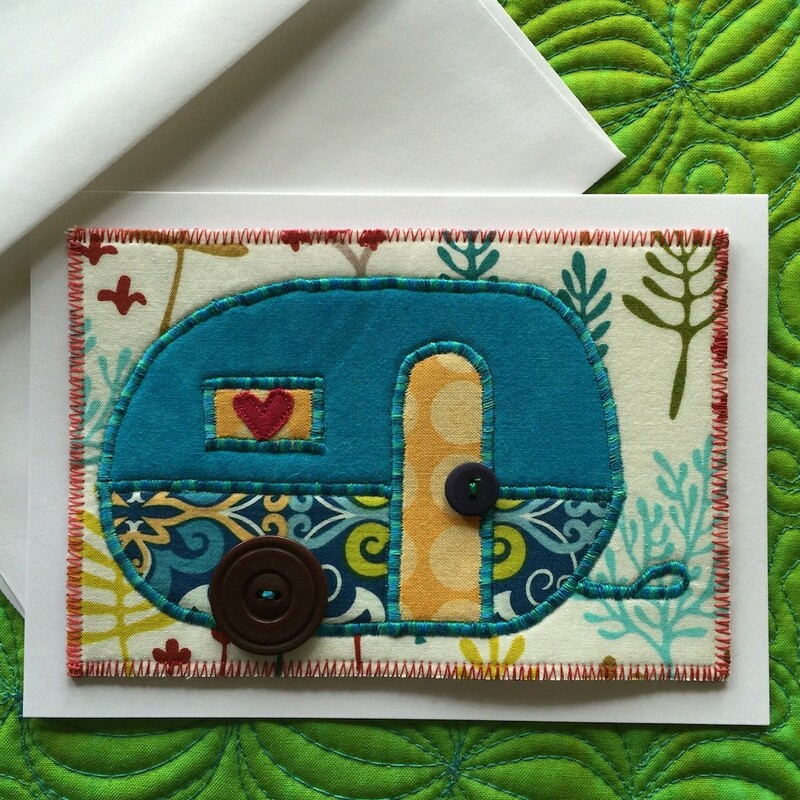 New camper colors in the on-line store - Fiber Art Cards! 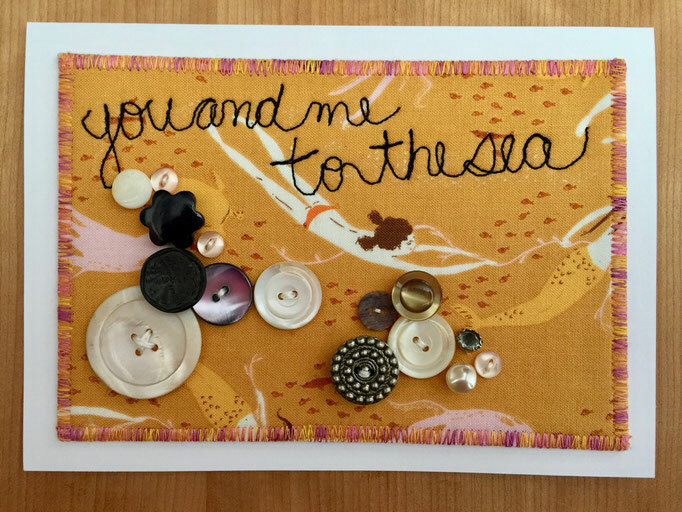 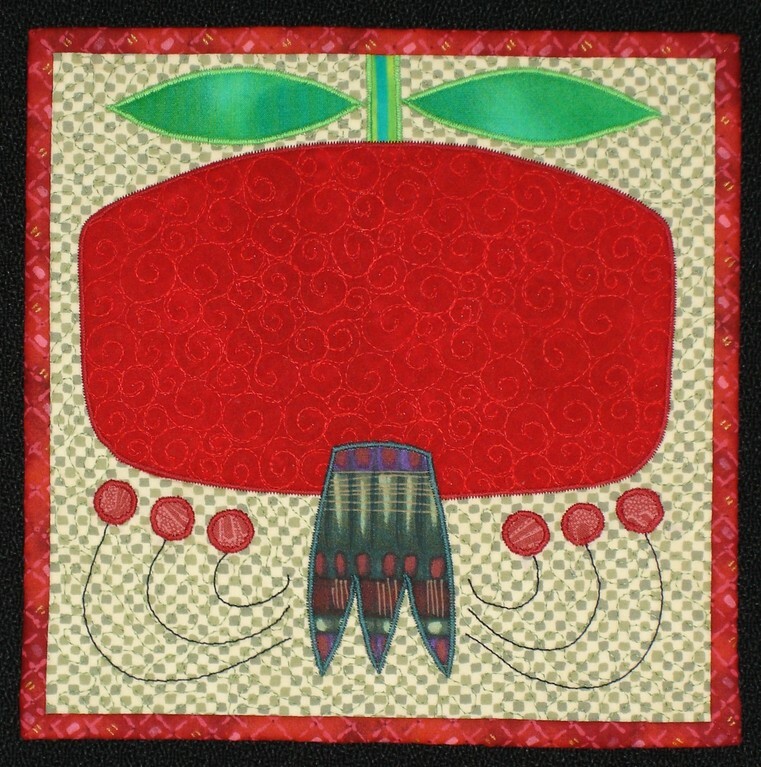 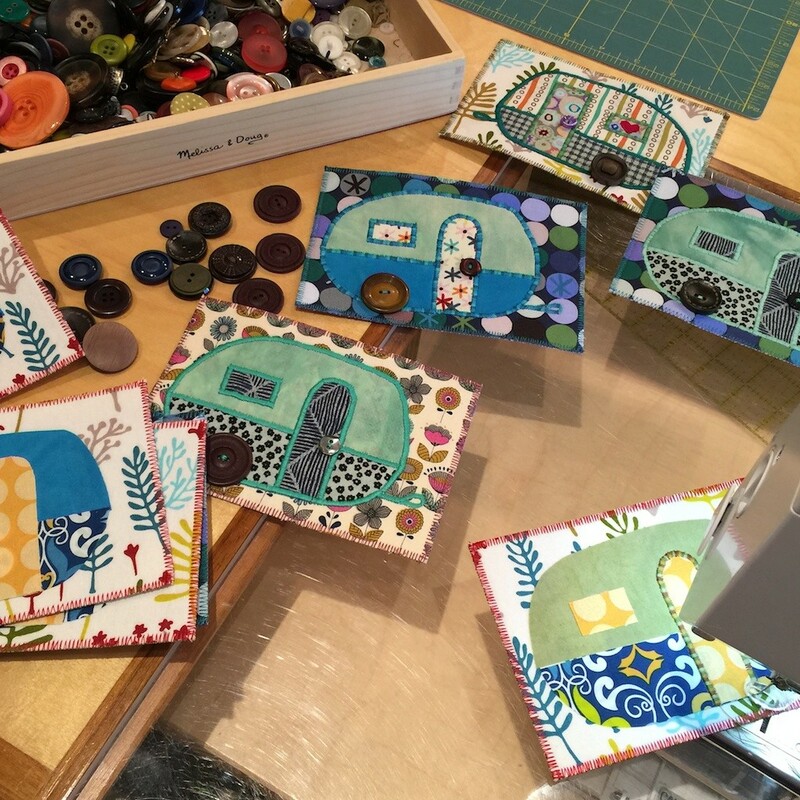 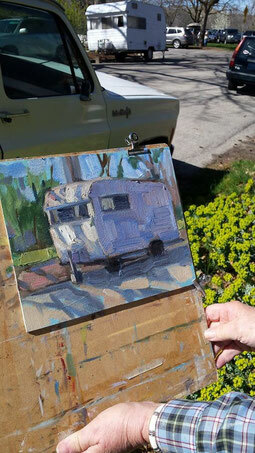 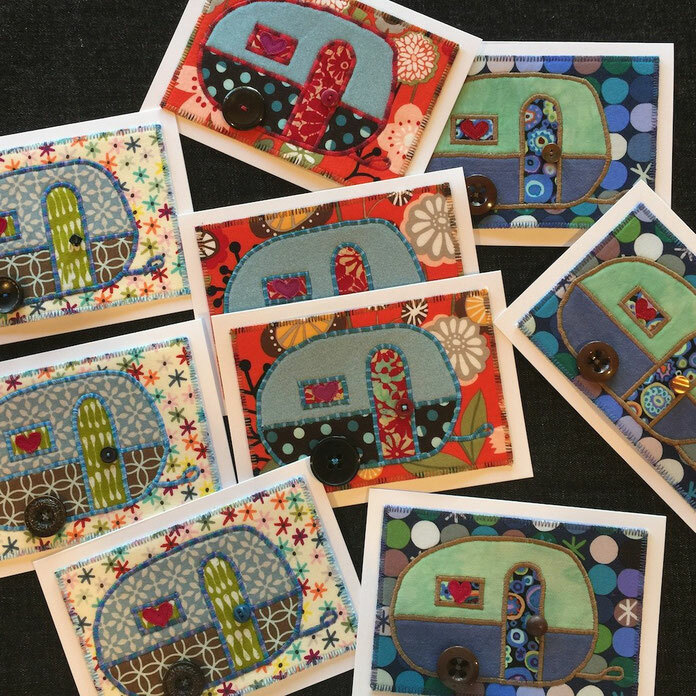 New camper fiber art cards added to the on-line store! 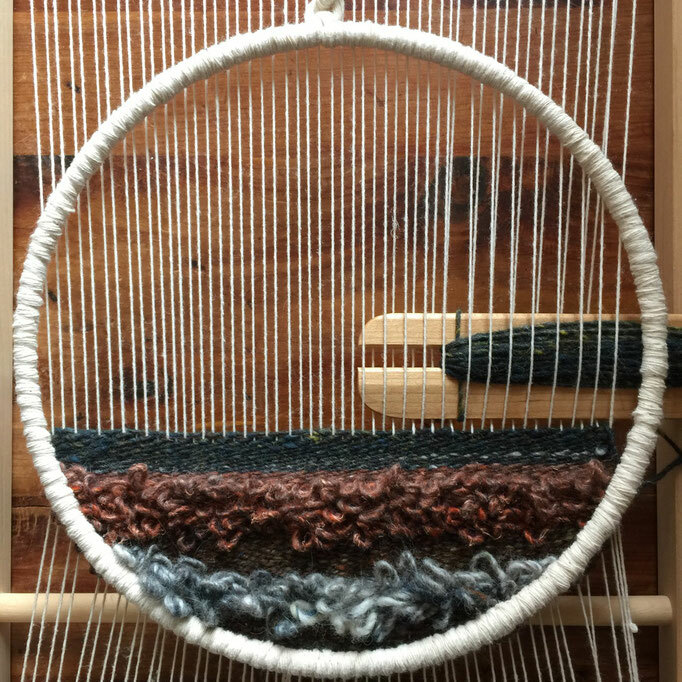 Now we're rollin'! 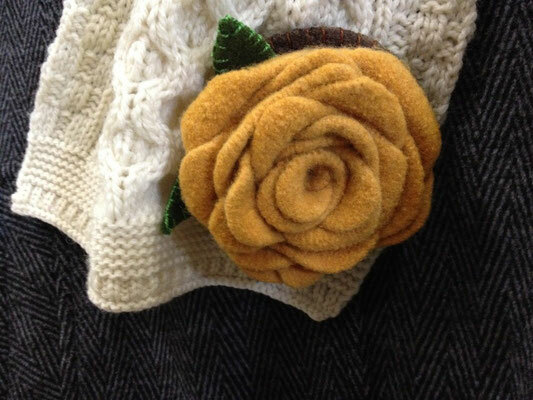 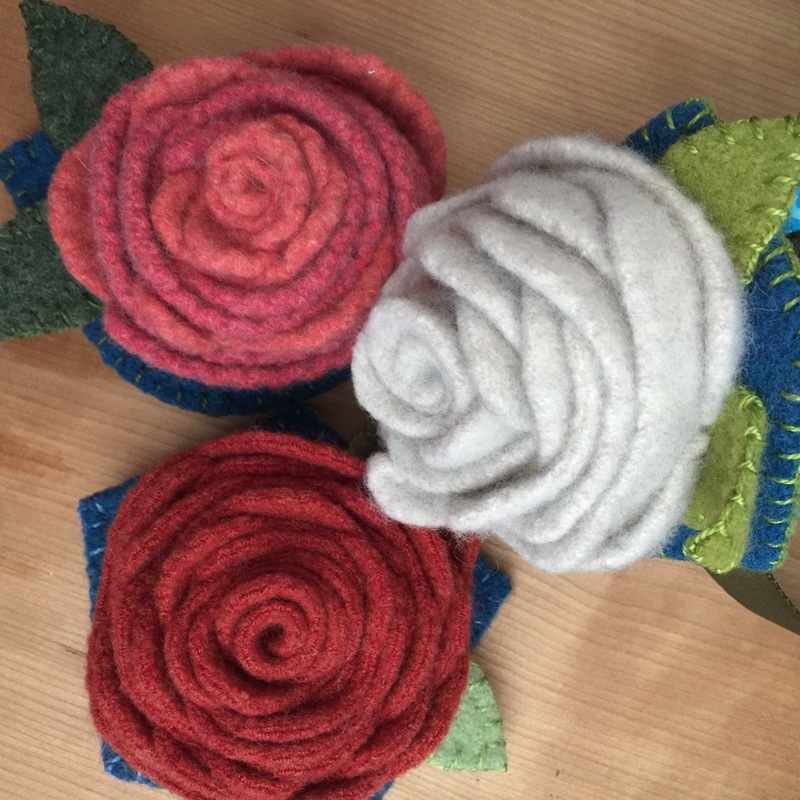 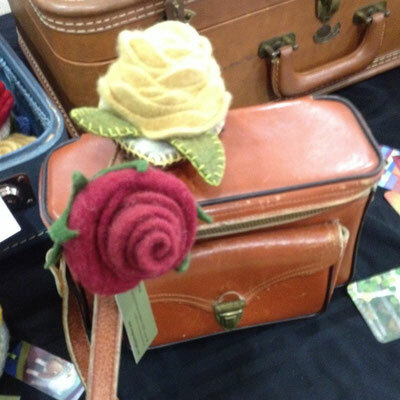 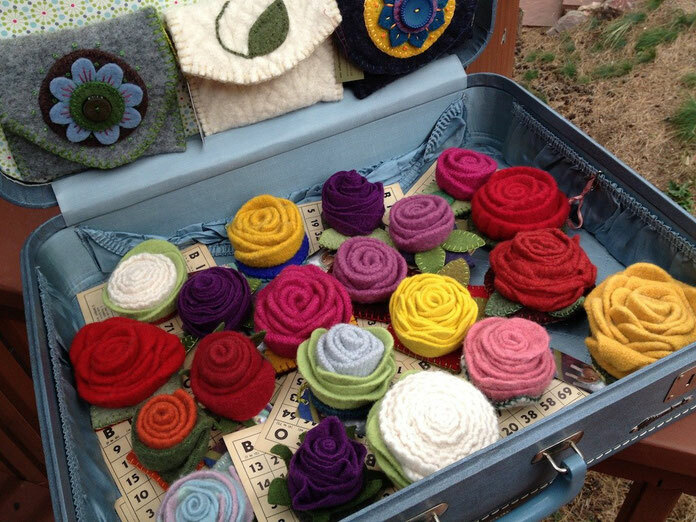 Handcrafted felt, made in Pine Tree Studio, wound and sewn together into gorgeous roses that never fade….just added to the online store. 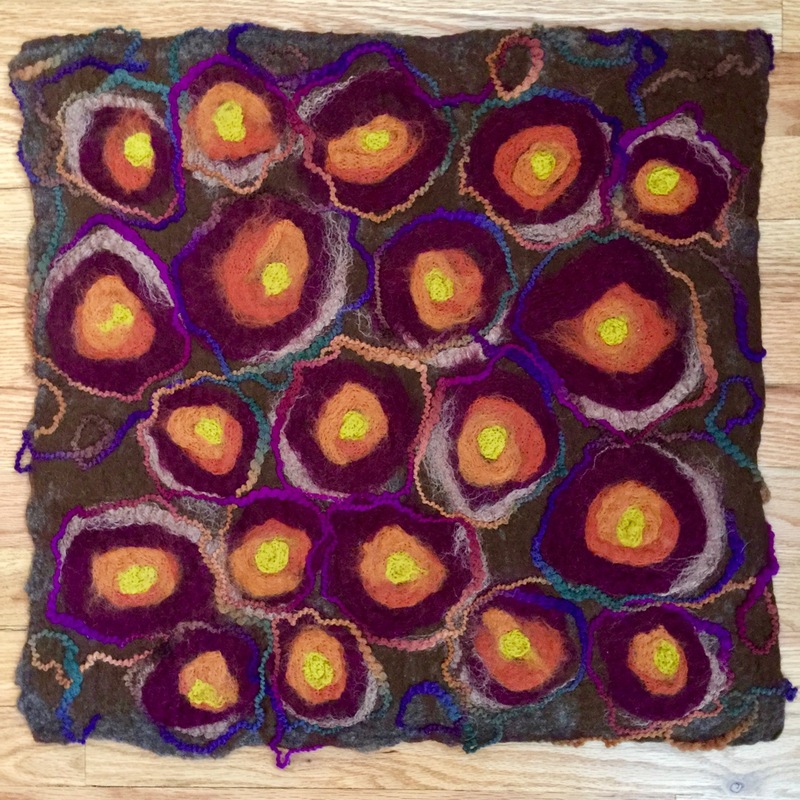 Spring and Winter go back and forth here in the Rocky Mountains, so felted wool is still a favorite material for me to work with! These brooch/pins are so fun to make, I just can't stop. 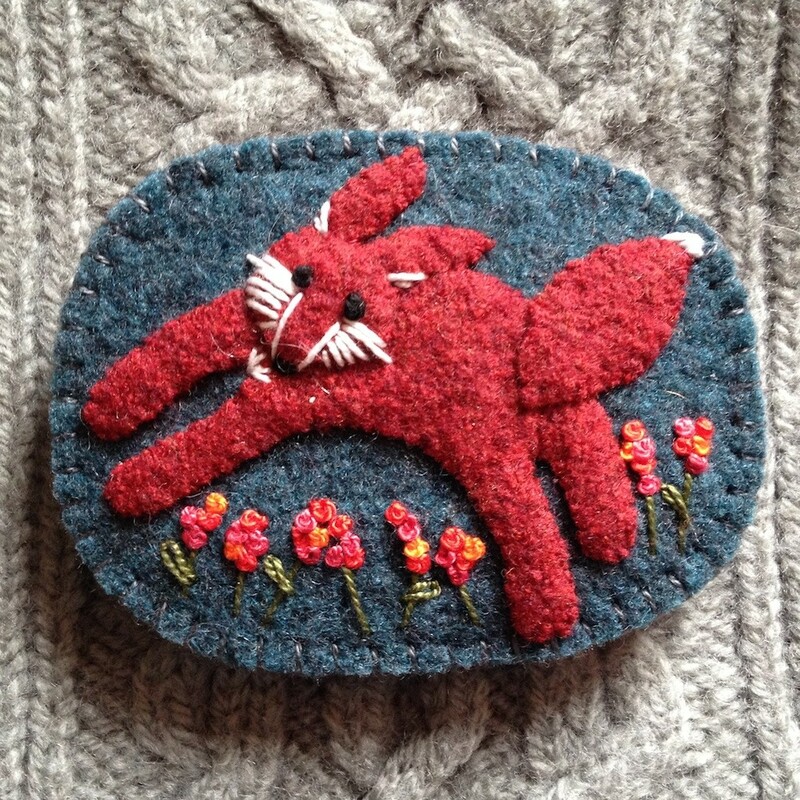 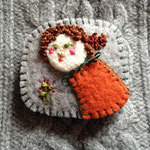 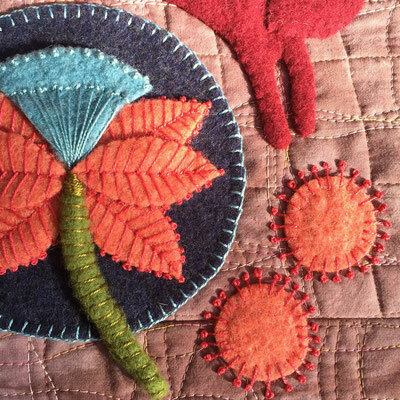 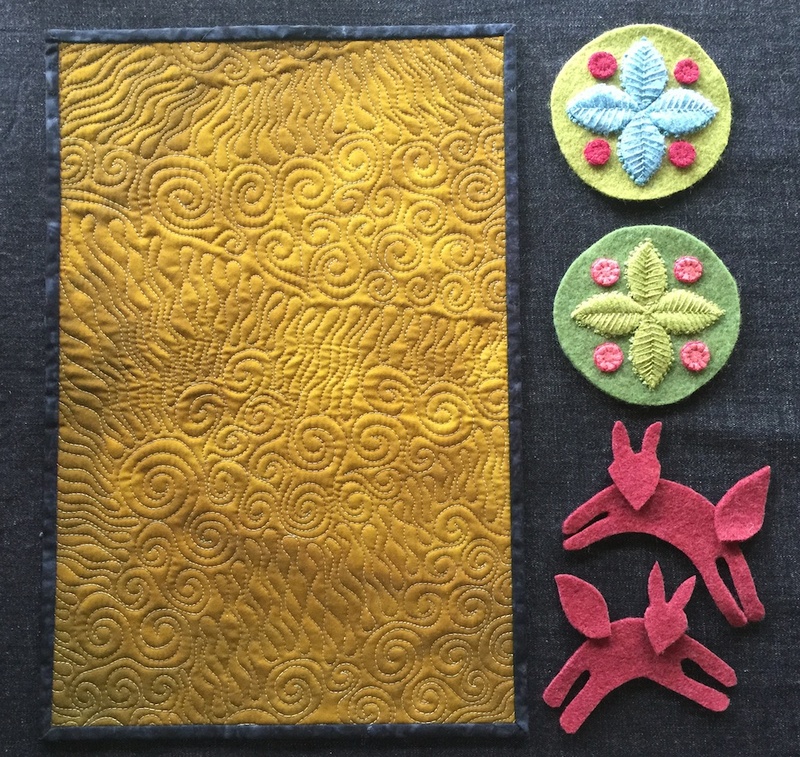 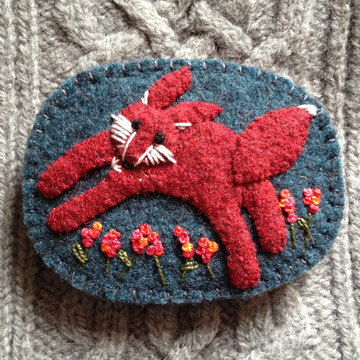 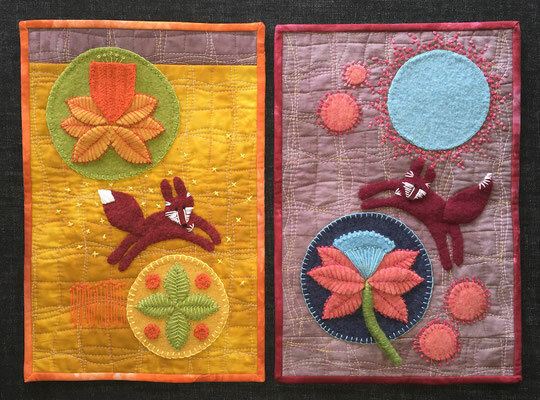 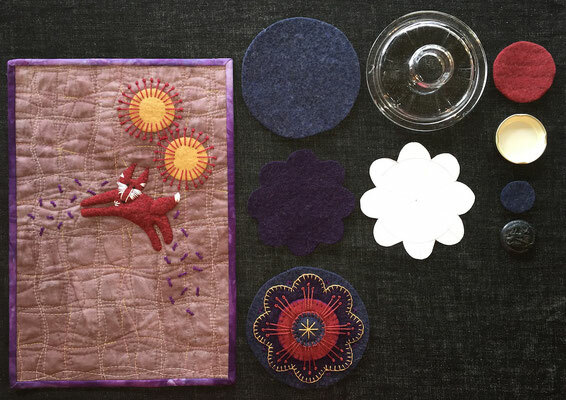 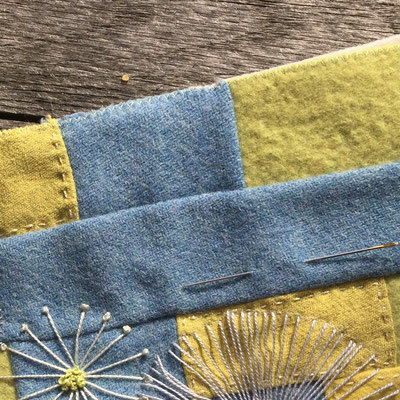 Embroidering with perle cotton brings the thick felt to life with color and a slight sheen. 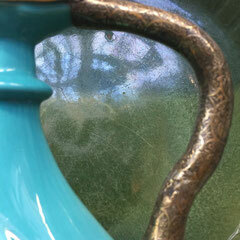 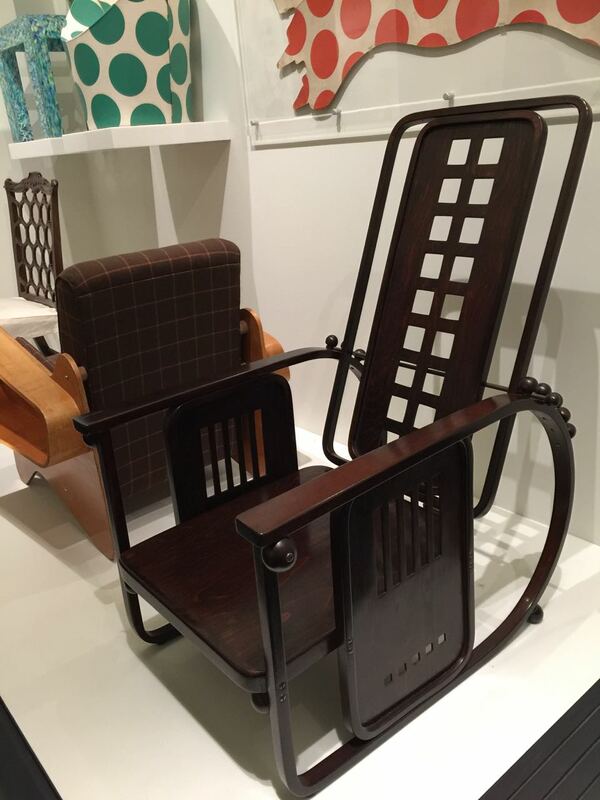 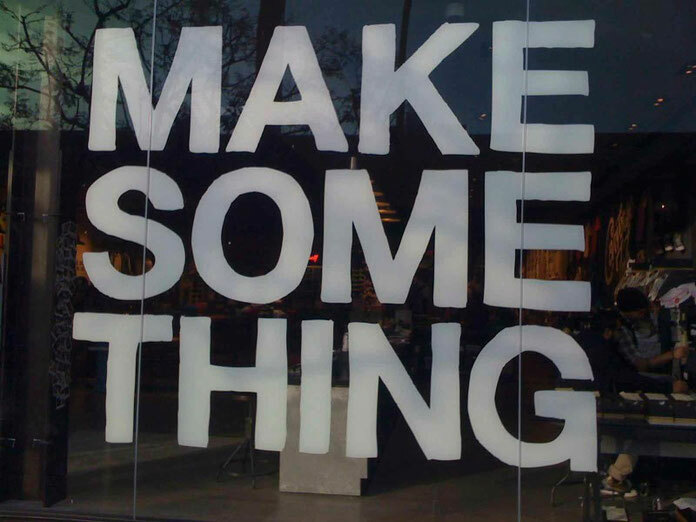 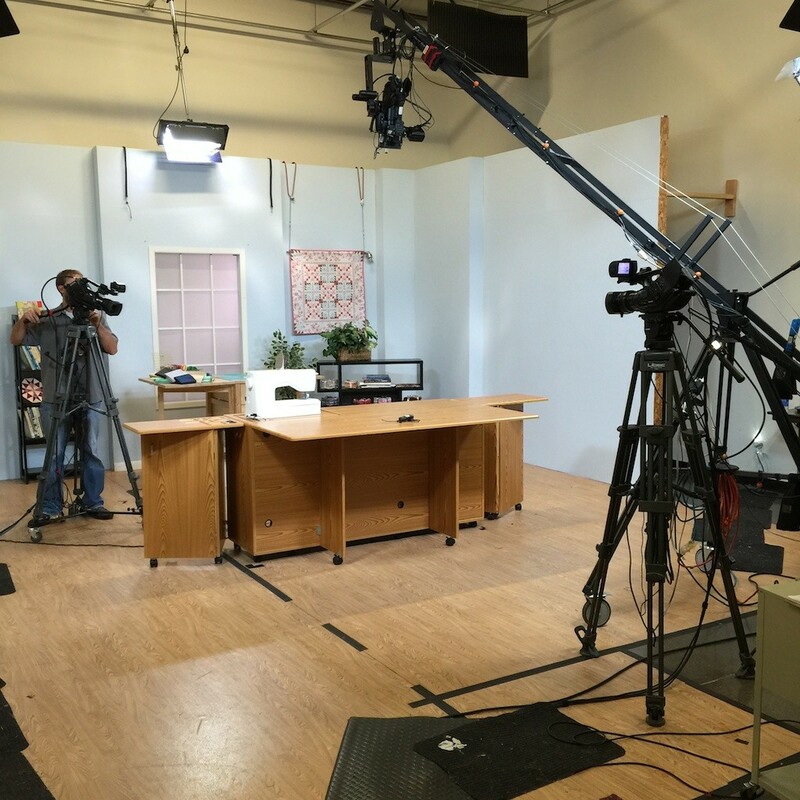 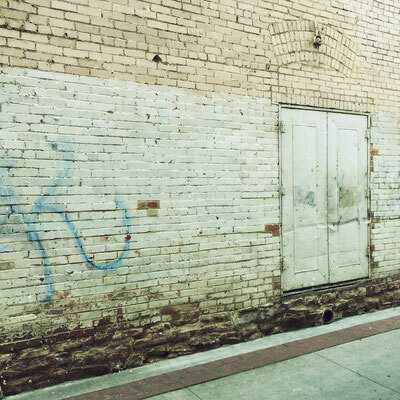 Check back for more new creations coming out of the studio this Spring! 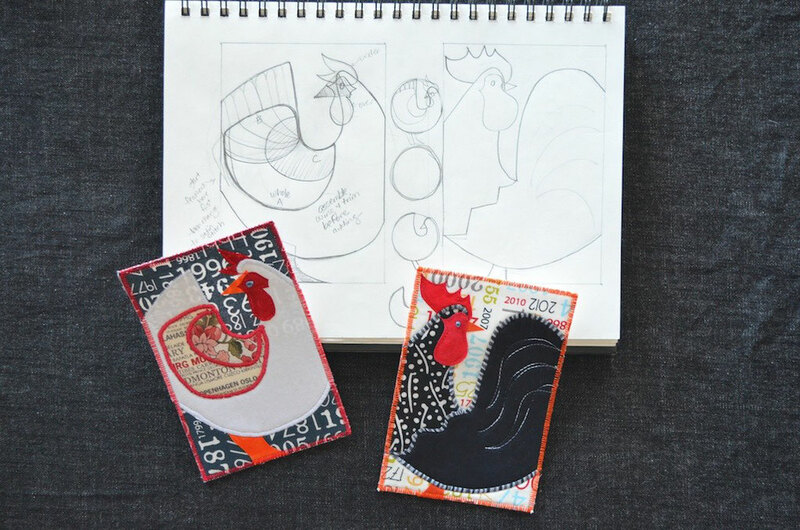 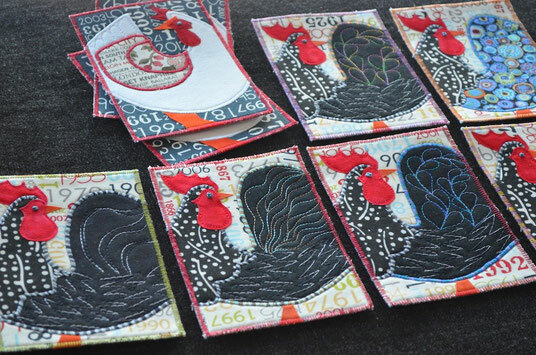 Today I'm designing a new fiber art card - a black speckled Thuringian rooster to complement the white hen from 2013. 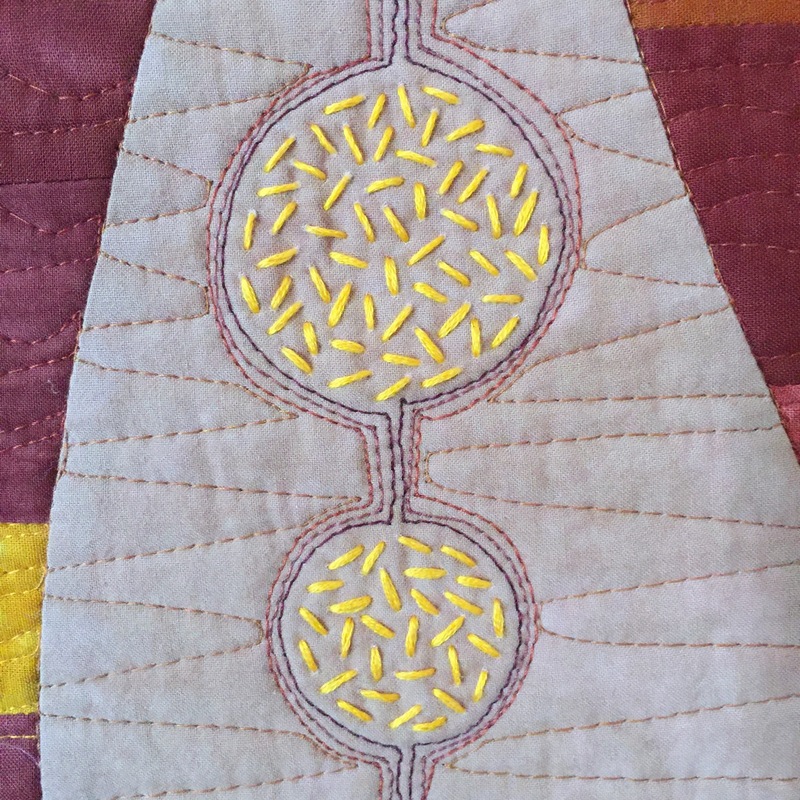 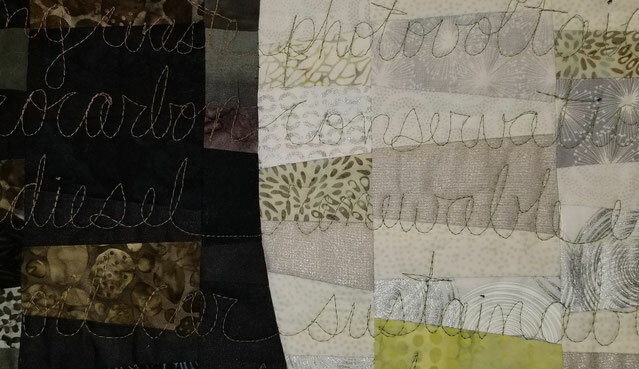 I'm playing with the free-motion quilted thread details on the body and tail, as well as the colors of thread and border. 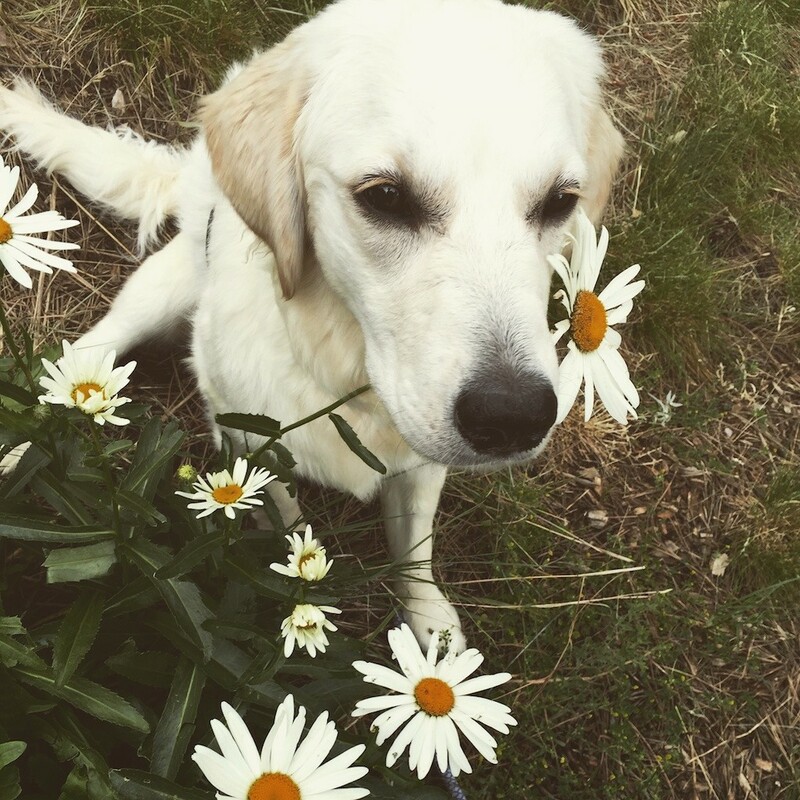 He's a handsome fellow!